​December 5, 2015 - Liane Arno talks to Ursula Theinert, an artist who has survived her share of setbacks. ​November 7, 2015 - Besotted by ballet but judged too tall and boisterous to be a ballerina, Karin Ellis forged a career in musical theatre, costume making and ultimately haute couture. Liane Arno reports. OUR community readily and appropriately recognises the value of sport in the positive development of young people. Other communities recognise the value of the arts, not just encouraging people under 25 to participate in the creation of art (whether 2D or 3D or performing arts) but finding resources and providing opportunities for these talents to be shown, and grown. On the South Coast, a group of young folk have formed a group called ForHumanCulture (FHC). They have been running a website dedicated to showcasing and reviewing live music by young people in South Gippsland and Bass Coast for some time. Over 2015 they have also been setting up and running their first art awards and exhibition project. On Friday October 9, the 25 or so shortlisted artworks were exhibited and prizes awarded. 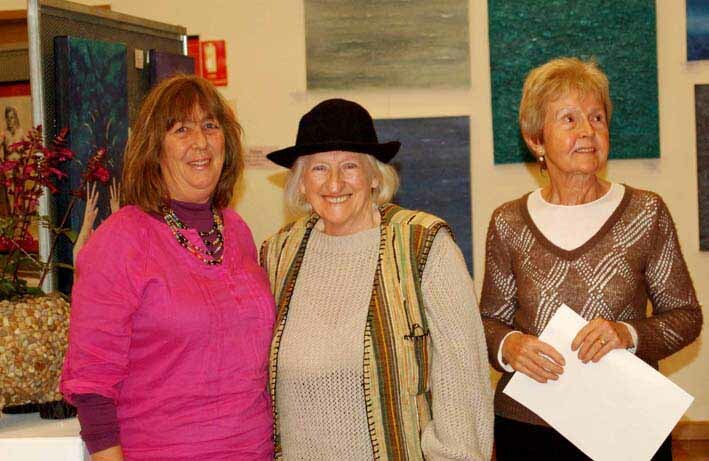 Prizes included five free entries into ArtSpace Wonthaggi’s Winter Solstice Art Show and two artists were awarded a four-week free ArtSpace Wonthaggi exhibition. Money prizes were judged and awarded by the FHC team, including $450 to the Young Master’s Apprentice Award (10-17 years old) and $450 to the Master’s Apprentice Award (18-25 years old). The ‘Goods Shed’ - normally the purview of more sedate activity by the Bass Coast Artists Society, became the home for this wonderful vibrant event, which included astounding local young musicians Kate Facey and The Rubric Duo. Alcohol-, smoking- and drug-free, the event was cultured, youthful, family-friendly and alive. What an act of leadership, FHC. Congratulations to you all. Next year they will need others to help lighten the load with funding and running the event as they move on to university and other destinations. But they have shown us what can and needs to be done, and will help our next group of young leaders learn the ropes. The challenge is up to us all: art appreciators, young artists, older mentor and other artists. The bar has been set. Anyone interested in being part of the Masters to Apprentices’ youth art gig for 2016, email contact@forhumanculture.com to connect, check them out at www.forhumanculture.com/ or check out their Facebook page. 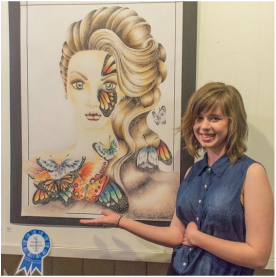 Kayla Provan with "Youth and Femininity", which won first prize in the senior section. Zoe Johnson with "Knowing", the winning piece in the junior section. Kate Facey with "Chinese Whispers (Overture)", which was runner up in the junior section. BASS Coast residents get a chance to see the work of four award-winning artists at the Your Art exhibition opening in Wonthaggi next weekend. Works by Do Noble, Ken Griffiths, Jan Long and Kerry Spokes will be on display in the Union Community Arts Centre foyer in the first week of September. The four artists won selection to the exhibition by winning one of the five local art shows. Kerrie Spokes received her award at the Artist's Society of Phillip Island Cup weekend exhibition in 2014 and will be showing large drawings in carbon pencil on the exploration of the theme Blown Off Course. 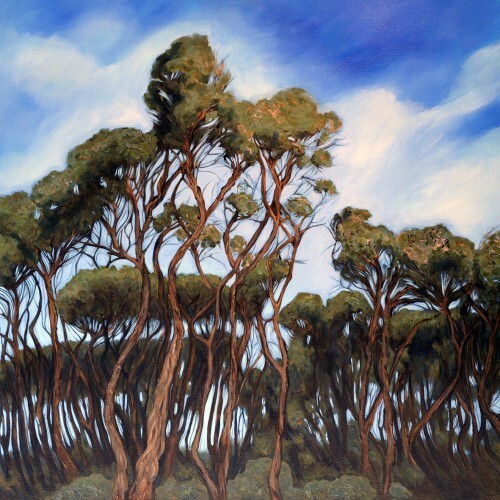 Ken Griffiths received two awards during the last year: one at the Inverloch Art Show on Labour Day weekend and the other at the Bass Coast Artist’s Society Easter Exhibition. 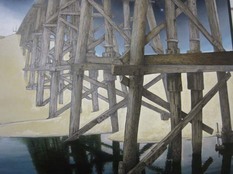 He will be showing works in oil on acrylics of outdoor themes in a mix of realism and figuration. Mr Noble received his award at the San Remo Art and Photography Show on March Labour Day weekend. 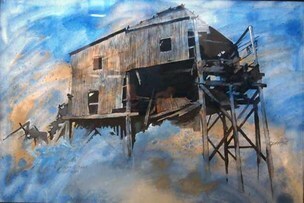 He has won over 600 prizes and awards, having started his art career in the Philippines before moving to Australia in 1988. 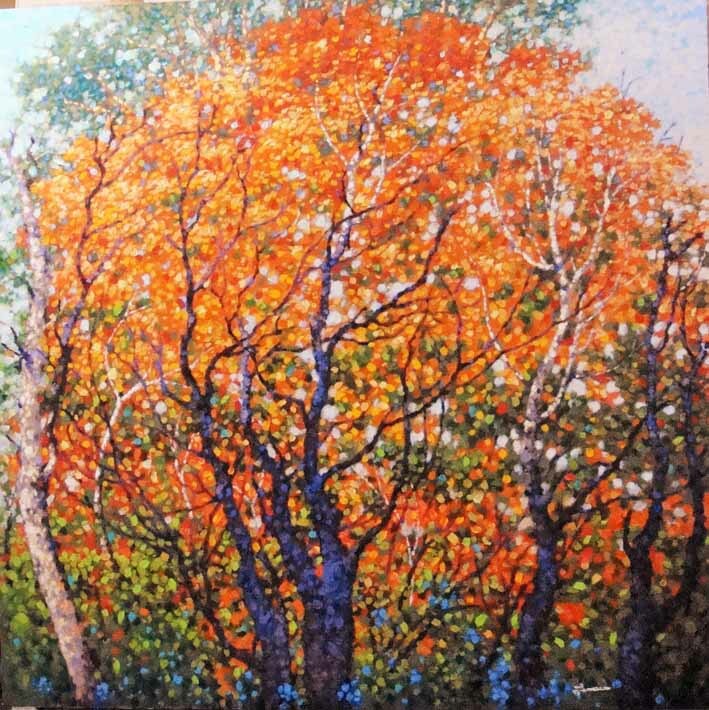 He is an artist whose colours trumpet their presence and uses a technique called pointillism, with a series of tiny dots of colour making up the work. Ms Long received her award at Corinella and District Community Centre Traditional Art Show on Queen’s Birthday weekend. 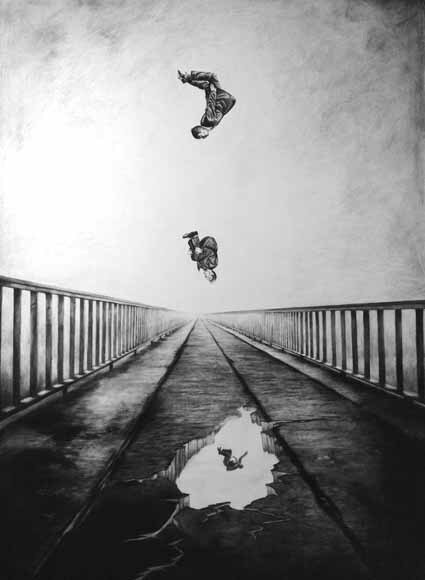 Her work reflects the environment, revealing fine detail and precise drawing skills. 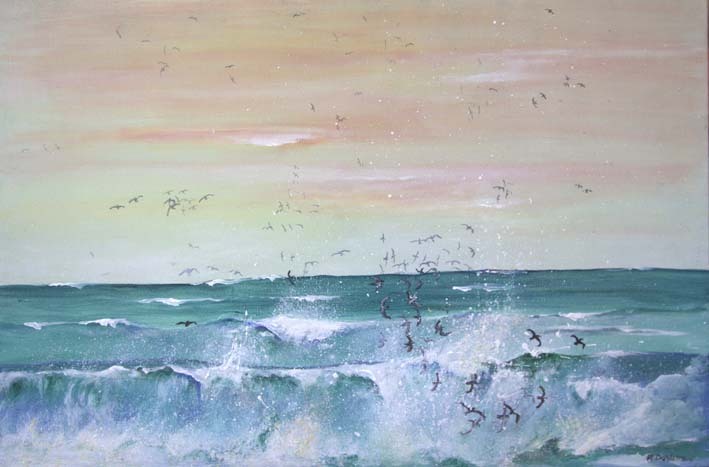 She uses many different medias and has over 700 awards for her paintings and drawings. Each artist will show up to four works, with one piece to be chosen by a panel of judges to become part of the council's art collection. The successful artist will receive $5000. The winner will be announced at the YAC exhibition opening on 4 September from 7pm onwards. On the panel this year is Robert Lindsay, who has curated at the Art Gallery of New South Wales, the National Gallery of Victoria and more recently as director of McClelland Gallery. Joining him are JD Mittmann, who works as curator and manager of collection at Burrinja at the Dandenong Ranges Culture Centre, and Vicki Sullivan, a realist artist. The exhibition runs from 5 to 9 September and will be open every day except Monday from 10am-4pm, and when the cinema is open. Ellen Palmer-Hubble is using her Archibald portrait of photographer Andrew Chapman to raise awareness of a disease that has afflicted both their families. AS PART of my passion for portraiture, I have completed six Archibald entries, the most recent for 2015 of Australian photographer Andrew Chapman. Andrew has been severely affected by haemochromatosis which resulted in a liver transplant. I have haemochromatosis in my genetics. My children, Tom and Tessa, now in their 20s, have the genes and we have recently learned that my husband, David, also has the disease. Haemochromatosis was the disease that claimed the life of my father. Since haemochromatosis is so prevalent in our families, Andrew and I were keen to use our Archibald entry to raise awareness of this insidious and silent killer. People with the disease have iron metabolism that is out of balance – it is believed too much iron is absorbed from the gut which then accumulates in abnormally high levels in the body's tissues. The portrait is titled ‘Ironic’. 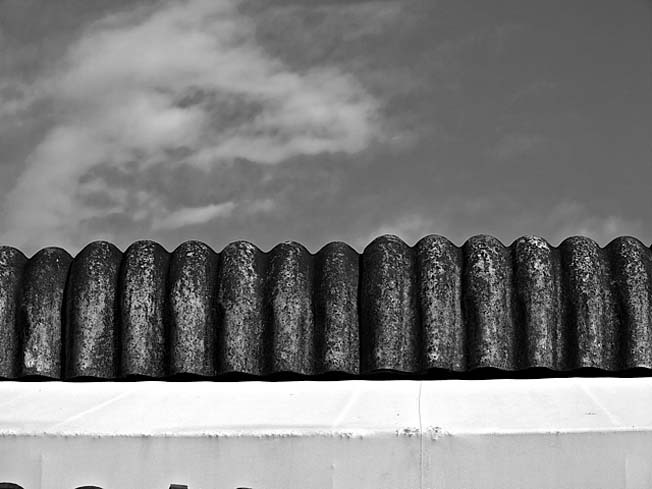 Metaphorically the corrugated iron, inclusive of rust and corrosion, parallels the symptoms of haemochromatosis. One of Andrew’s passions for subject matter is the documenting of rural Australian life, particularly in the wool industry. He has travelled over large swathes of the country for more than 40 years to record the people and the places. Many of the buildings he photographs are constructed in iron. Haemochromatosis Awareness Week run from August 10-16. The condition often goes undetected in early years as it remains a 'silent' disorder, but it can easily be diagnosed with appropriate blood tests and be treated. Without treatment, it can lead to complications that are potentially life-threatening. For more information, visit www.haemochromatosis.org.au. In the blood: Geoff Ellis describes living with haemochromatosis. The portrait reflects and symbolises the strength and resilience of Andrew Chapman. Ellen Hubble is a new (soon to become permanent) resident of Bass Coast and currently living at Cape Paterson. August 3, 2015What a great work of art; what a great way to illustrate haemochromatosis! This is truly a silent killer: one of my parents succumbed to the effects of this disorder at age 67 and my paternal Grandfather and three of his brothers all died before the age of 60 from what appear to have been Haemochromatosis related issues. THERE'S no need to travel over the hills to see the work of Latrobe artists. Let them come to you. Arc Yinnar and ArtSpace Wonthaggi are collaborating in an artistic swap project called 'Sea Change to Tree Change'. 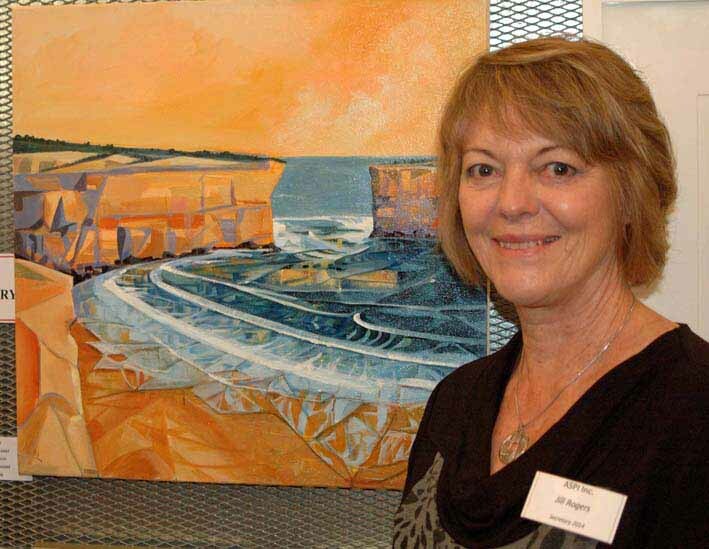 The Latrobe artists will exhibit at Wonthaggi’s ArtSpace from May 7, and the Bass Coast artists will exhibit at the Arc Gallery in Yinnar from May 9. They include painters, sculptors, woodworkers, jewellers, glass artists and dress designers. 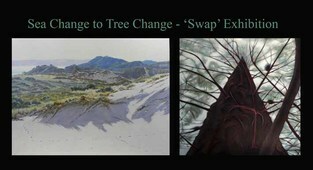 Sea Change to Tree Change runs until June 1. The project is part of the sixth Creative Gippsland Arts Festival, which this year has the theme Swap, Trade and Exchange, with the six Gippsland councils swapping artists, performers, ideas and skills. Walkabout at Bass will feature 14 artists in a Trade-Off. This diverse set of artists has been invited because of their unique skills, and represents the strength of talent across the Bass Coast region from Inverloch to The Gurdies. The Goldsmiths Gallery in Bridgeview Arcade, San Remo, will Swap Summer for Autumn, with 12 jewellers, goldsmiths, potters and a photographer asked to get creative. Inverloch artist Ray Dahlstrom is hosting his own exhibition titled Divergence, featuring works inspired after leaving the Yarra Valley after Black Saturday five years ago. The exhibition is being held in Studio 40, 40 Pearsalls Road, Inverloch on Saturday and Sundays from 10am-4pm. Many other venues are up and running all of May. 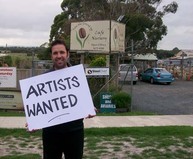 Visit creativegippsland.com.au for a full program. An event brochure is also available at Bass Coast Visitor Information and Customer Service Centres and from basscoast.vic.gov.au/creative. THE centenary of Anzac gave Chris Lermanis an incentive to go back to his files of negatives for a retrospective print series of photos he took in the 1980s and 90s around the Melbourne Shrine of Remembrance and along the Anzac Day march route. Now a retired teacher living in Woolamai, Lermanis has always been a "serious amateur" photographer who describes his style as photojournalism. He writes: “Although digital technology has made everyone a photographer with a phone-camera in their pocket, I continue to make film-based images today. The task of creating arresting images is the challenge, regardless of the equipment used. “We are bombarded with countless disposable images in our daily lives. 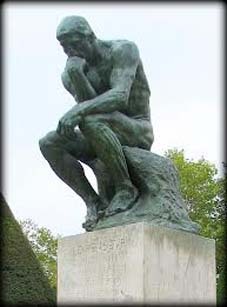 Some, however, catch our attention and are worthy of longer contemplation. It is this type of picture I strive to create. “The commemoration of the centenary of Gallipoli has given me an opportunity to go back to my negative files and do this retrospective print series. The photographs were taken in the 1980s and 90s around the Melbourne Shrine of Remembrance and along the Anzac Day march route. The images, I trust, speak for themselves, conveying the dignity and solemnity of the occasion. The 22 images will be on display at the Coffee Collective Gallery, 50-52 McBride Avenue, Wonthaggi, from April 13 to May 16. Each image will have a limited edition of five prints-hand printed by Lermanis in the darkroom. In June, the Colour Factory in Melbourne will display his retrospective exhibition of photographs of Fitzroy taken in the 1960s. IT’S A wonder Bev Leversha is even here given how she started as a ceramicist. After studying for her diploma of pottery at RMIT, she went to gain some industry experience and was employed in a small factory in a tin shed Abbotsford. It didn’t augur well when the boss found out she was left handed and so kept smudging the designs that he had created to be applied by right-handed people. But when he found that she could create better freehand designs herself, she was given carte blanche to do whatever she wanted. Because of her skill, she was placed in the segregated male area, with her only companions being those recently arrived from European war-torn countries. They couldn’t speak any English and took great delight in watching this feisty young five-foot tall (152-centimetre) woman lift the casts onto the shelves on wobbly plaster boards. And all the time covered from head to foot in a fine red dust that was sprayed onto all the ceramics before they were fired. A strike at the factory – in which she couldn’t participate because she couldn’t understand what her colleagues were saying – found her out of work. She found a job at Sale Technical College prior to attending the Technical Teachers College in Toorak. 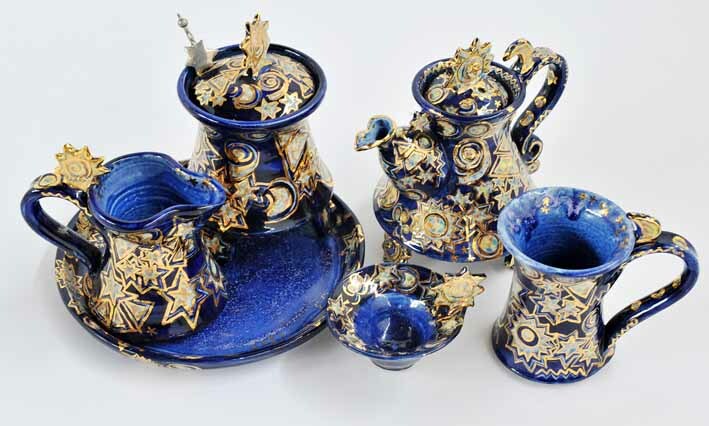 She worked in many technical schools over the years, and throughout all the time continued to pot – mainly utilitarian wheel work – in both earthenware and stoneware clays using a home-made gas kiln and a wood-fired kiln. Lately, Bev’s attention has been drawn to ceramic jewellery and colourful ceramic bells, which she sells at a prodigious rate at ArtSpace. This article was first published in the Wonthaggi Artspace newsletter. The Artspace Gallery, 5-7 McBride Avenue , Wonthaggi, Ph 5672 1415, is open Thursday to Monday, 10am-4pm. NEITHER the hot weather nor the Superbike traffic deterred members of the Artists’ Society of Phillip Island (ASPI) coming together on February 22 to celebrate the society’s 21st birthday and its new home at Newhaven College. The occasion was preceded by a flurry of activity. The committee and volunteers shifted furniture and equipment from various locations to the former woodwork room on January 19 and in the following week cleaned, scrubbed and repainted the kitchen area. Textile art group convenor Norma Stack-Robinson then spent many hours sewing curtains. A display team spent a day hanging an exhibition of members’ work in the entrance foyer and workshop space while a catering team organised food, beverages and a birthday cake. It was a wonderful occasion with a great turnout of current and former members ranging in age from the 20s to 80s. 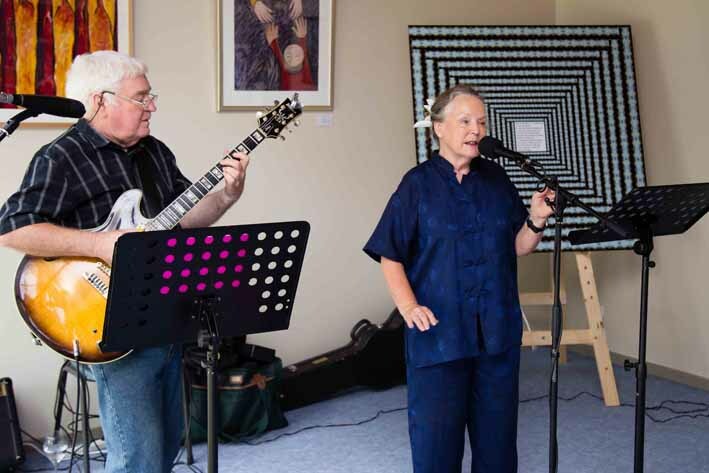 Guests raved about the ASPI Artspace, the art display, the food and the music provided by musicians and artists Judy and Mike Doyle. Life member Josie Kent traced the history of ASPI which had its origins in the Phillip Island Arts Council in the 1990s. The society’s first committee was formed in 1994 and ASPI became an incorporated body in 1995. 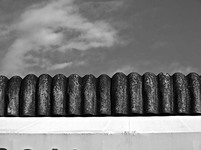 Its membership expanded beyond its visual artist base to include the Phillip Island Camera Club and Ibis Writers in 2000. A textile art group formed in 2011. Josie commended the current committee for their “dogged” work in securing an artspace; for their incentives in providing workshop sessions and places to display members’ work, noting that the society has finally come of age. 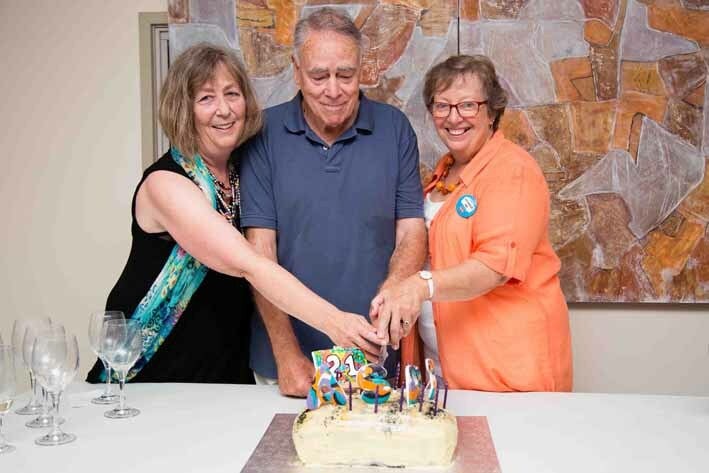 Current president Marian Quigley acknowledged the hard work of previous and current committees and volunteers and invited life members Josie Kent, John Adam and Di Bannister to cut the contemporary 21st birthday cake made by Gay Mosby. ASPI life members Josie Kent, John Adam and Di Bannister cut the 21st birthday cake. Mike and Judy Doyle provided the soundtrack for the celebrations. Life member Josie Kent, right, traced the history of ASPI. Committee members – who are still in a state of disbelief at finally securing such a wonderful artspace for ASPI members – have wasted no time in seizing the opportunities it offers. As well as the former life drawing, art appraisal and plein air sessions, the society’s activities will now expand to include weekend workshops run by members and other professional artists. 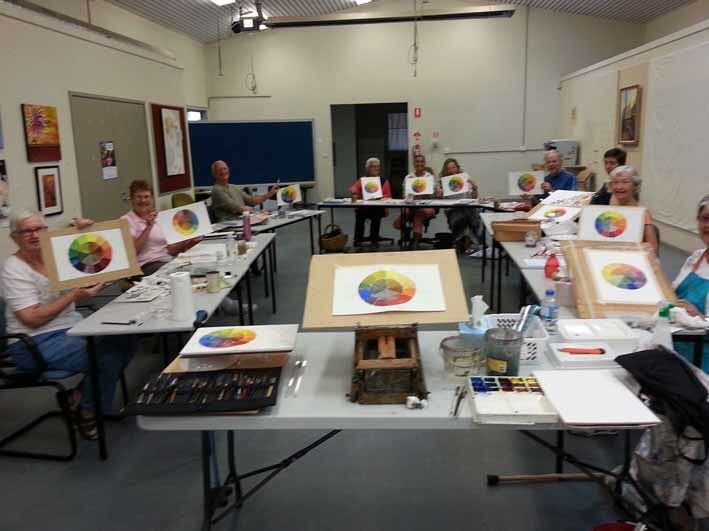 Di Edwards ran a successful colour wheel and paint mixing session in February; PurpleX/Phillip Island Framing will offer a presentation on Saturday, March 14 and a felting workshop will be offered on April 18. A 12-month calendar of our activities – including sessions open to the public - will soon be posted on the ASPI website. Open studio sessions will also be available for members who lack a studio space of their own or who wish to meet other members for informal art practice. ASPI’s residence is also proving beneficial for Newhaven College with two staff members and a senior art student already attending our sessions. ASPI is now preparing to welcome the 800+ visitors who usually attend our members’ annual Easter art exhibition and sale at the Cowes Cultural Centre. The Society is also co-ordinating the forthcoming RSL Centenary of ANZAC ‘Spirit of ANZAC Art, Photography & Writing Competition and display. Entry is open to the public and entry forms are available at ASPI. Our celebrations continue - we are delighted that five of our members won awards at the recent Phillip Island and San Remo Rotary Art & Photographic Exhibition. 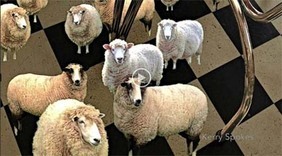 ASPI welcomes new members. Membership forms can be downloaded from ASPI or contact the membership secretary on 0425 728 323. 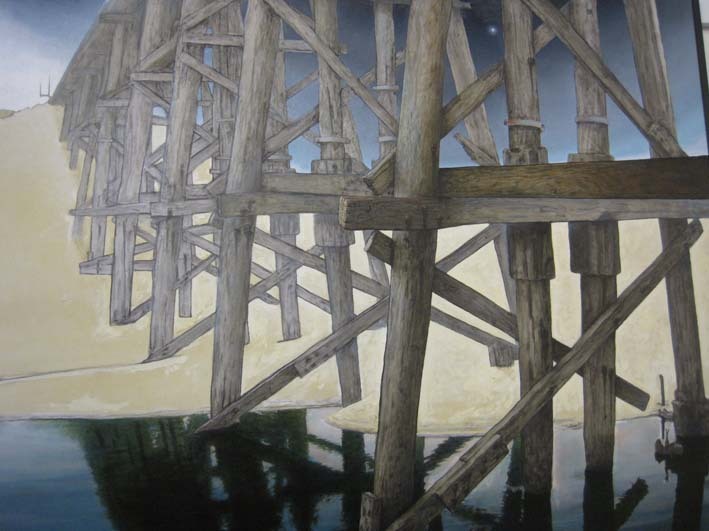 AN EXHIBITION of works by 14 award-winning Gippsland artists is taking the wonders of our place to the city. 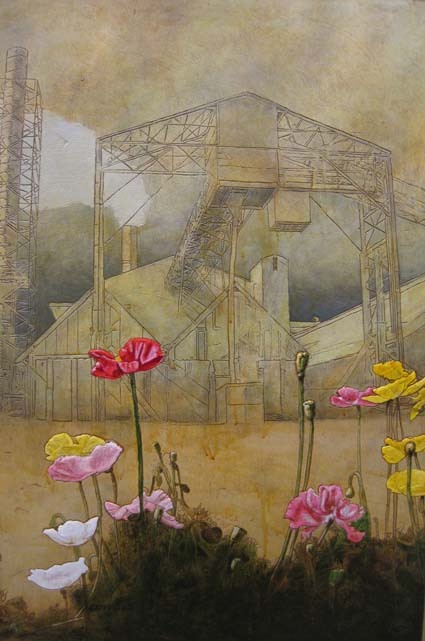 Oil, acrylic and mixed-media paintings, mono, lino and digital prints, and constructions from recycled and nature materials mix with mobile phone images in The Gippsland 14 exhibition. Exhibition curator Jacqueline Taylor says the artists – Kerry Spokes, Ursula Theinert, Ken Griffiths, John Mutsaers, Mandy Gunn, Peter Biram, Sue Coppock, Mandy Gunn, Susan Hall, Carolyn Henry, Wayne Milner, Graeme Myrteza, Tracy Roberts, Meg Viney and Libby Witchell – are clearly inspired by the wonderful place in which they live and work. Kerry Spokes, who won the 2014 Bass Coast Acquisitive Art Award, extends the boundaries of what is possible with digital collages using photographs and apps on the iPad to develop iPhoneography prints (Nautiluscape). Creative recycling by Mandy Gunn gives the viewer a new way of seeing “between the lines” of everyday life; Meg Viney’s unique twig forms represent a very Australian version of containment and safety, using materials from gum trees and grasses from our forest. 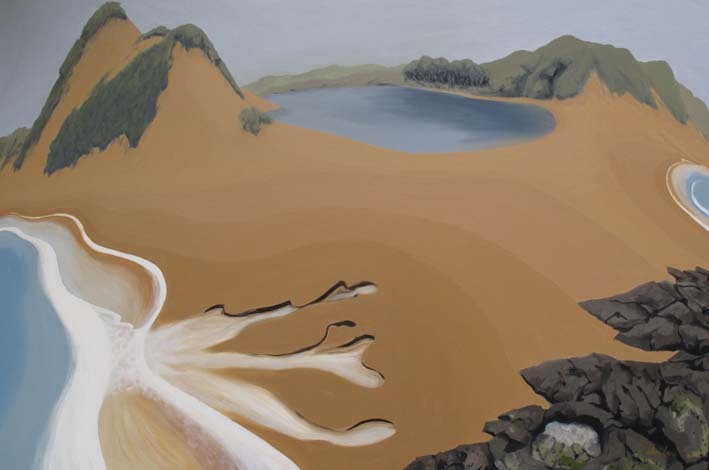 Environmental issues are addressed in Peter Biram’s “landownership” paintings, Ursula Theinert’s lush Windswept and Coastal Forest works plus surperb traditional canvases by Graeme Myrteza (Durrie Dunes) and John Mutsaers (Still life with Bowl and Rose). 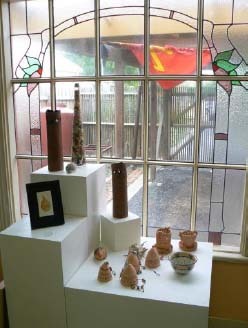 Libby Witchell uses windows as a metaphor for looking back at history and reflection (Time’s Gracious Adornment), while Ken Griffiths has a quirky gentle perception of his world as depicted in Backyard South Dudley Pub. The whimsical caricature, The Drover’s Daughter by Sue Coppock, Carolyn Henry’s “Q Series” (The Rainbow Girls) and Wayne Milner’s Lemons in a Landscape will raise a smile. The Inverloch coastline inspires Susan Hall, who shares her discoveries in Ocean Blue, and Tracy Roberts conveys her symbolic ideas using organic forms in Abyss. A new sculpture at Kilcunda will have one of Australia’s most iconic settings. 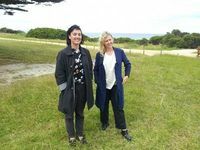 SARAH Hicks and Bonnie Grant had both driven through Kilcunda and marvelled at the view but it wasn’t until the council invited submissions for a public artwork there that they stopped to explore. “We spent a day exploring the site, visiting the railbridge and exploring the old viaduct,” says Bonnie. “We stopped to chat with anyone we met. Artists Sarah Hicks and Bonnie Grant on the site of the former Kilcunda railway station. The Kilcunda community is invited to meet the artists and discuss their concept at the Kilcunda Public Hall from 5.30-6.30pm on Monday. The two artists, who make up Bush Projects, specialise in site-specific artwork made in association with local communities. They won the commission to create Kilcunda’s first public art near the site of the former Kilcunda railway station, opposite the CFA station and community hall. Earlier this year, the artists met residents to identify the site and themes. Now they’ve created a concept design, and want to hear the community’s ideas before they complete the final work, titled Continuous Relic. The proposed sculpture is a series of connected forms that echo the layered history of Kilcunda’s settlement, while also offering a platform for future gatherings and events. It outlines the familiar geometric shapes found within the surrounding coastal landscape, incorporating Kilcunda’s historical industries of mining and rail yard infrastructure. Bonnie says they’ve never had such a spectacular setting for their work. “The views to the beach from the foreshore area are truely stunning, We want the work to fit within the surroundings, to enhance the surroundings, not to obstruct or impede the views in any way. The Kilcunda sculpture is the third in the series of public art works funded by the council, following Anton Hazel’s Harmony Bells in the Cowes town square and David Murphy’s Bronze Yarns on the Coronet Bay foreshore. “IT WAS like meeting old friends,” says Laurel Billington of the pleasant but slightly unsettling sensation of rediscovering works to put together her first solo exhibition. 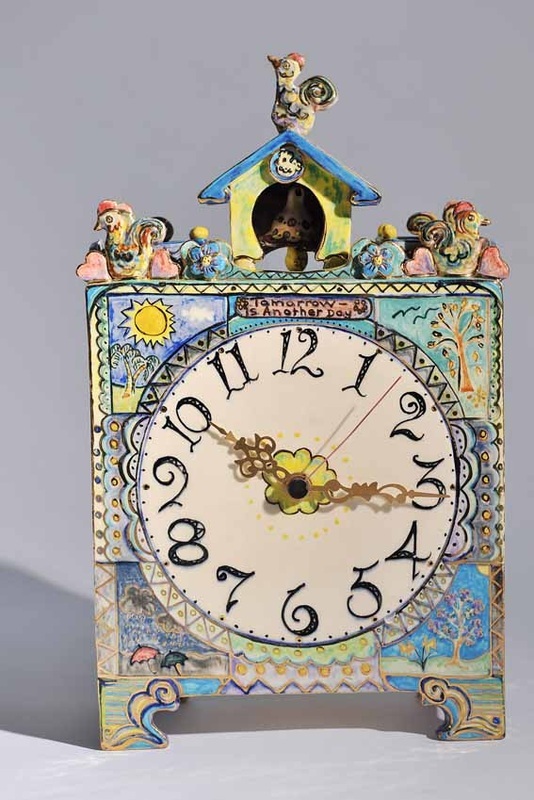 The exhibition, It's About Time, at the Wonthaggi Artspace Gallery, refers to the Cape Paterson/Drouin artist’s 50th year as an artist, with some pieces dating back to 1964. Some were borrowed back from family and friends for the exhibition. It’s both a retrospective and a showing of her current work. 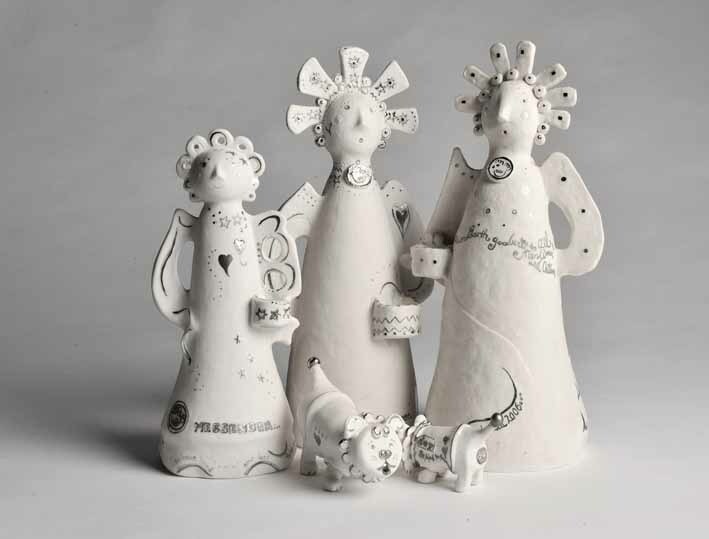 Some of the more personal pieces, including the wonderful ongoing Tree of Life, are family heirlooms to be passed on to her children, but there are also a big range of clay pots, lino cuts, sculptures, etchings, paintings and drawings for sale. Laurel trained as a secondary arts and crafts teacher and worked at Morwell and Drouin high schools. Later she taught adult education classes in pottery and ceramics, and also taught pottery at the Association for the Blind in Warragul for 10 years. The ceramic works in particular are immensely time-consuming. 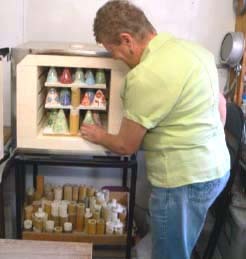 She spends hours testing glazes before selecting one. “It’s no production line,” she says, although she does make some smaller “tourist-type” pieces, including ceramic animals, using her own moulds. Most of her work is very personal, based on family events. It’s a gently humorous, sunny exhibition. You walk away feeling better about things. 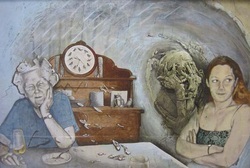 It's About Time is at the Wonthaggi Artspace Gallery, McBride Avenue, until November 16. The gallery is open 10am-4pm Thursdays to Mondays. FOR the past 20 years, the Artists’ Society of Phillip Island (ASPI) has lacked a place to call home. This is about to change – just in time for our 21st birthday. During the last two years, the ASPI committee has run a concerted and exhaustive campaign to find a home base. However, properties including the Phillip Island Kindergarten, the former ambulance station and Dixon buildings proved unavailable, a bid for the Newhaven jetty shed was unsuccessful, and commercial rental properties were beyond the society’s means. Just when we thought we’d run out of options, Miranda Sage, a Bendigo Community Bank Board member, suggested we approach Newhaven College, which is in the process of moving from its Boys Home Road site. College principal Gea Lovell responded enthusiastically to our request for the use of a vacant classroom and the development of a mutually beneficial relationship between the College and ASPI. Phillip Island artist Warren Nichols and Sandra Peeters were artists in residence during Newhaven College’s Junior School Art Festival recently, cementing a new relationship between the college and Artists’ Society of Phillip Island. From February 2015 – and hopefully until we are permanently housed in the redesigned Cowes Cultural Centre – ASPI will occupy Newhaven College’s spacious former woodwork room, complete with sink and storage facilities. We’ll also be able to utilise the adjoining exhibition space. A home base will allow us to engender the sense of community that has been lacking until now. Conventional community meeting room spaces, while suitable for committee meetings and discussion sessions – and adequate for our writers and photographers – are unsuitable for workshop activities such as painting, printmaking, sculpture and ceramics. Consequently, the society has been restricted in what it can offer its visual artists. A central place to store equipment has also been lacking. In return, ASPI has offered the college mentoring, workshop access and display opportunities for the senior art students. Our relationship with the college has already begun. Two ASPI members, Warren Nichols and Sandra Peeters, were artists in residence for a day during the College Junior School Art Festival recently. 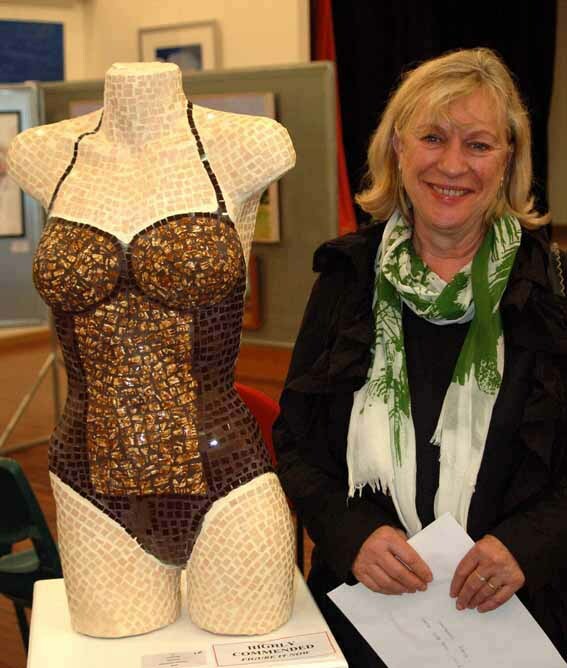 I opened the VCE Product Design & Technology, Media and Studio Arts Exhibition last Wednesday week. ASPI has about 160 members – a foundation group of visual artists, together with ASPI sub groups, the Ibis Writers, Textile Arts Group and the Phillip Island Camera Club. The society has run two annual exhibitions – at Easter and Cup Weekends – since 1994. Outdoor painting/drawing sessions and appraisal/critique sessions have become regular events. Monthly life drawing sessions which ran at the Phillip Island Community & Learning Centre in 2013 have been offered fortnightly (subject to venue availability) over the last 12 months, due to the generosity of the Phillip Island RSL which allows us the use of the Golf Club function room for a nominal fee. Having 24/7 access to the college site means ASPI will now be able to expand its program of activities, including weekend workshops and continue to develop as a vibrant community cultural group. Our 21st birthday will indeed be a memorable one. Anne Broadway salutes Inverloch’s mysterious tepee builder. OVER winter, Inverloch experienced numerous king tides that eroded dunes. Tea trees collapsed onto the sand leaving copious amounts of debris. 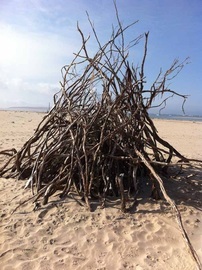 At this time, teepee constructions started appearing on the beach. At first I wondered whether nature was creating these art forms. 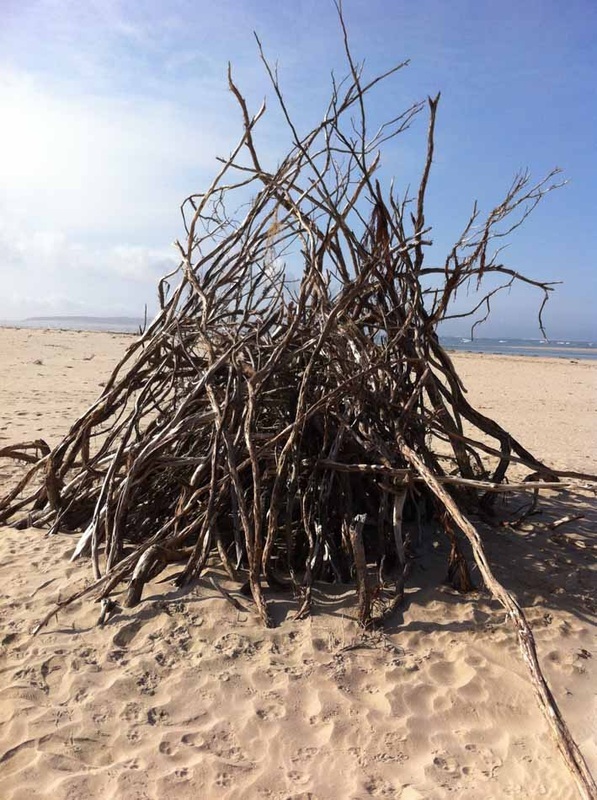 But no, an anonymous construction artist of the ilk of Andy Goldsworthy* has been at work. Happening upon these structures on my daily strolls is a delight. Like the beach, they change each day. With the ebb and flow of the tide, seaweed is tangled in the structures adding more texture and interest. Where I only noticed one or two structures, more have appeared. I wonder when they are built. Is it at dawn? Or does the artist wait for moonlight to create? I am so enamored with these found wood structures that I had a go myself. It is so much fun! You wander the beach searching for the right tree limb. Some are so beautiful they have weathered silver and smooth. It becomes such a creative process and quite addictive. I also marvel at the strength of these structures to withstand the tides. I have seen little children delight in playing inside one. 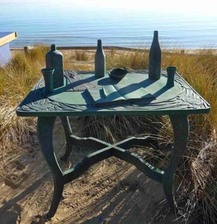 These art forms are such a beautiful addition to our beach environment. I admire that someone has had this creative idea and used a found natural resource. These structures fit so well because they are inseparable from nature and landscape and will eventually weather with the seasons and disintegrate. This is public art in its purist form. * Andy Goldsworthy is an English sculptor who works with found materials, mostly natural. KERRY Spokes’ work Unnatural Selection #2 has won Bass Coast Shire Council’s major art award. 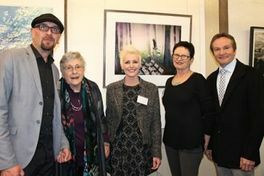 Judges Anton Vardy, Celia Elizabeth Rosser and Kerrie Warren unanimously selected her digital work from 16 works by four artists who have won Your Art Collection awards during the year. Mr Vardy applauded the four artists represented – Ms Spokes, Bill Binks, Robyn Riley and Ursula Theinert – and said Unnatural Selection #2 impressed with its originality of concept. Judging panel, Director of Gippsland Art Gallery, Anton Vardy; renowned Australian botanical artist, Celia Elizabeth Rosser; and contemporary action painter, Kerrie Warren; Your Art Collection winner, Kerry Spokes; and Bass Coast Shire Council Mayor, Neil Rankine, with the winning digital artwork, Unnatural Selection #2. “It left us musing what was happening in this forest of abandoned cars with inverted male figures imbedded in the trunks of the trees. 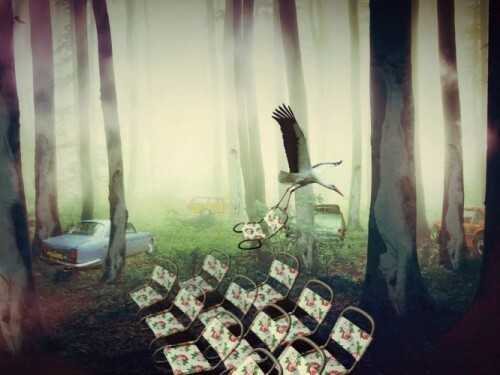 “Why is the stork, the proverbial bringer of new life, taking away a chair? Has it invested itself with grim reaper properties to remove an audience member? The winning artist receives $5000 and other shortlisted artists receive $1000 each. FOUR award-winning artists are vying for top honours in Bass Coast Shire’s Your Art Collection Exhibition, opening at the Goods Shed Art Space in Wonthaggi today. One piece in the exhibition will be selected for the council’s permanent art collection. 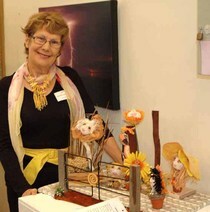 Ursula Theinert won the Corinella and District Community Centre Traditional Art Show on Queens Birthday weekend 2014. Their winning works cover sculpture (Binks), digital imagery (Spokes) and painting (Riley and Theinert) and their styles vary from realism to abstraction. Each artist can exhibit up to four works each in the Your Art exhibition, with a panel of art professionals to select the winning work. On the panel this year are Gippsland Art Gallery director Anton Vardy, renowned Australian botanical artist Celia Elizabeth Rosser and contemporary action painter Kerrie Warren. Bass Coast Mayor Neil Rankine said the council appreciated the assistance of the Bass Coast Artists’ Society members who are hosting the show. The Goods Shed Art Space is in Murray Street, Wonthaggi, next to the rail trail. Park in the Big W or Woolworths car parks. The exhibition is open from 10am-4pm Wednesday-Sunday until September 14. 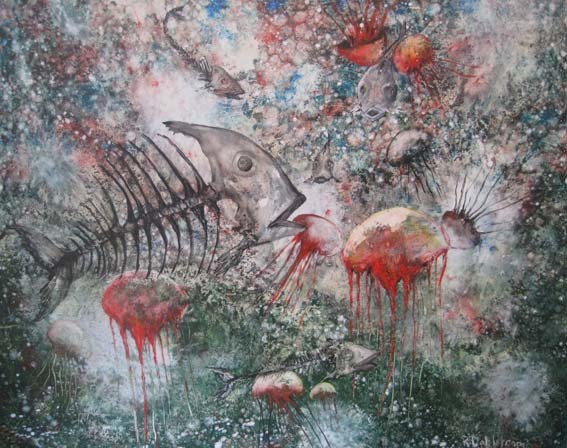 Robyn Riley – Big Red Fish, gouache “My strength mainly lies in pencil photo realism, but for variety and to broaden my skills, l also paint with gouache and conte." 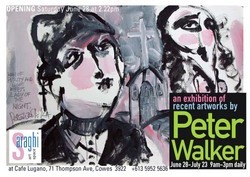 LOCAL artist Peter Walker is exhibiting fresh quirky new works at Saraghi art space in Cowes. This is his 25th solo art exhibition and first in his home town since returning from New York, where he had his second solo show at Ceres Gallery in the art district of Chelsea. Some 45 works are included in the new exhibition with “new style” artworks painted on cardboard boxes, an idea sourced from New York. Peter calls his style of figurative work “neo portraiture expressionism”. The works are mainly based on the human figure with a mix of animal magic woven in. The exhibition is open from 9am-3pm daily (except Tuesdays) until July 23 at Saraghi Art Space, café Lugano, 71 Thompson Avenue, Cowes. WHAT started off as a 6000-word profile story about artist John Adam ended up as a mini-biography of his life and work. 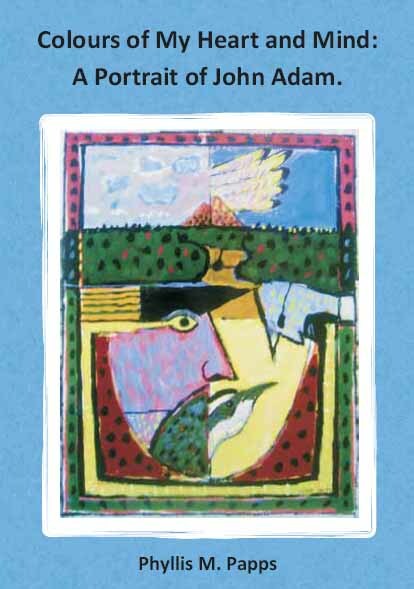 After discussion, John and I agreed to have a book self-published that would complement the text by including a selection of images of John’s paintings and some extracts of his written material. John and I had an immediate rapport when we first met socially in December 2013 and have had a very strong telepathic association ever since. This connection of two creative kindred spirits, plus a relationship based on honesty and trust made my job of story-teller much easier. Writing the story of John Adam’s life was a collaborative effort and it has been a great privilege to be the author of this mini-biography. John is an extremely interesting, fascinating and charismatic person who has had various professions and a life filled with an incredible passion for art and a great connection with the spirit of place. John Adam is both complex and unique. John was very generous with his time and also by providing me with a wealth of information regarding his life over the past seven decades, in both written and pictorial form. This included: his poetry and short stories as well as his publications; his paintings, photo albums, sketch books and photos of his paintings; his travel journals; copies of newspaper clippings, articles and reviews etc. 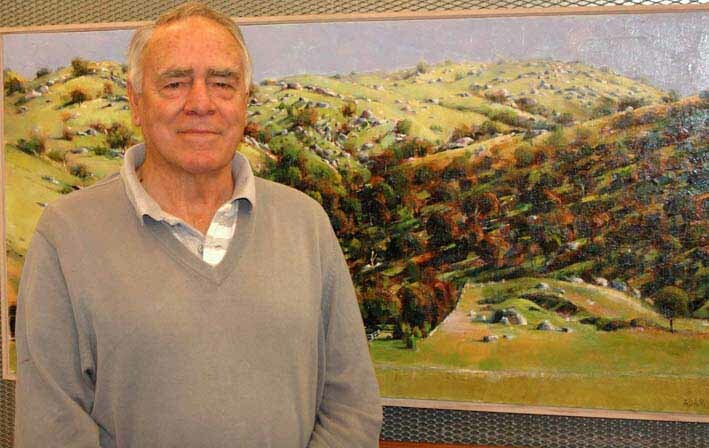 John Adam has won multiple awards for his work, including the Bass Coast Shire Acquisitive Award five times. Colours of My Heart and Mind: A Portrait of John Adam will be launched by Dr Marian Quigley at the Phillip Island Golf Club at 2pm on Sunday, June 29. I also acknowledge the help and support of some of John’s colleagues and friends who were happy to be interviewed for the mini-biography, especially Dr Marian Quigley, the president of the Artists’ Society of Phillip Island,. ONE hundred and sixty-five entries in the Artist’s Society of Phillip Island’s Easter Exhibition reflected the hard work, talent and curatorial expertise of the ASPI committee and members. For the second year in a row, the show was fully judged. Dr Anton Hassell, who designed the bells in the Cowes Civic Centre forecourt, judged the visual art and textile prizes. He commented on the ability, imagination and confidence of the artists and the elegant use of materials, strength of design and beauty of the works. Christine Edwards, a well-known local writer, judged the “Figure it Now” poetry prize. She mentioned the personal engagement and challenge she felt with the prize-winning entry in particular. A steady crowd of people visited the exhibition with a good number of sales. 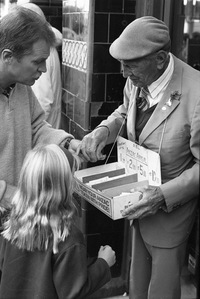 Many were there to attend the prize giving on Good Friday and then to mingle happily over hot cross buns kindly supplied by Bakers Delight, Cowes. Thanks to the local businesses and individuals who sponsored the prizes and raffle: Lesla Saraghi, arts patron; Turn the Page Bookshop, Cowes; Malcolm Gin, optometrist; Cowes Medical Centre – Medical and Aged Care Group; Stonegrill International Pty Ltd; Amaze’n Things; Phillip Island Conservation Society and anonymous donors. Writers’ award winners Josephine Allen, Heather Murray Tobias and Barbara Orlowska-Westwood. Heather Fahnle with her work Doreen, which was highly commended in the Figure-It-Now award. Diane Edwards with her winning art work celebrating the natural environment of Phillip Island and Churchill Island with Christine Grayden from the Phillip Island Conservation Society. Jill Rogers with her work Holy Coast, which won the Contemporary Art Award. 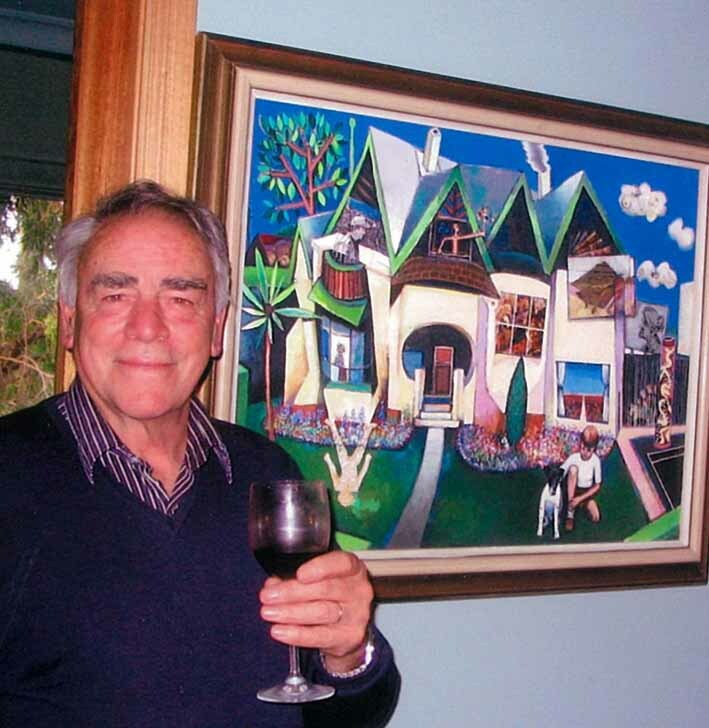 John Adam with his painting Rocky Hillside, which was highly commended in the Contemporary Art Award. ASPI President Marian Quigley, centre, with judges Christine Edwards and Dr Anton Hassell in front of Marian’s paintings. Norma Stack-Robinson with her winning textile work Behind the Gate. 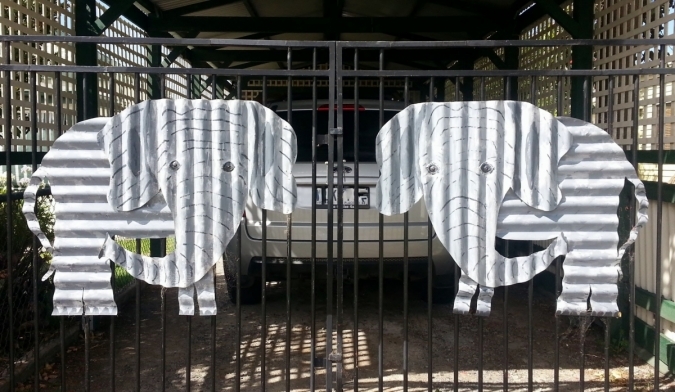 A visit to an old homestead in Adelaide inspired Wonthaggi’s Bill Dean to create Elephant Entrance on his front entrance gates. Bill sketched the elephants from memory on graph paper, adjusted the scale to suit the gate size and, with design input from his wife Marg, used recycled corrugated fencing iron, automotive body filler and old paint found in the back shed to make them. A very popular entry in last year’s Gippsland Gatescape competition, the elephants are now a permanent fixture, along with all the other handmade sculptures around the Deans’ front garden in Broome Crescent. Gippsland Gatescape, the surprise hit of last year's Creative Gippsland Arts Festival, will return for this year's festival. During last year's gatescape competition, scores of individuals and groups decorated garden gates, farm gates, school gates and yard gates from Phillip Island to Mallacoota and from Foster to Baw Baw. There are no restrictions on what can be used: used machinery parts, recycled materials, timber and fabric, tin and steel were all popular last year. Community groups may like their gate to reflect current issues of significance to locals, while others may choose to examine cultural themes. School students may like to create a story about their school and its achievements and successes, or favourite teachers. Once your gate is finished, photograph it and upload the photo onto the Creative Gippsland website. All gates will be shown on the website, along with their location and a brief description on the theme you provide. The sixth annual arts festival "for all of May and all of Gippsland" will showcase more than 100 exhibitions, events, performances, workshops, installations, festivals and markets. Entries in Gatescape can be made until May 15 when the judging will be held. There is also a People's Choice Award. Events will be listed on the Creative Gippsland website as they are added to the program. You can also register your arts event there. Most of Ray Dahlstrom’s paintings make a point, but he’s not precious about it. JELLYFISH and chips ... Ray Dahlstrom’s dire prediction of a future when the oceans are acid has been good to him, he admits. It’s been turned into T-shirts, fridge magnets, mugs. The original image was from a painting called Acid Ocean. 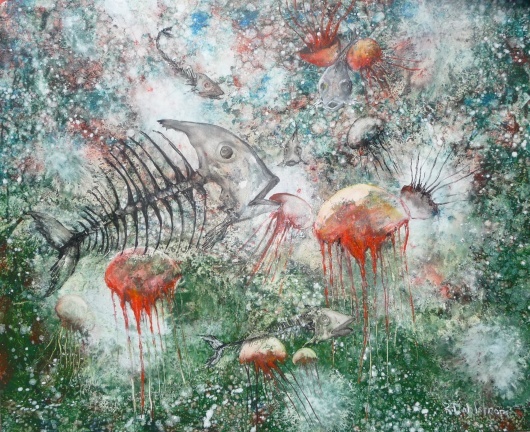 It depicts a future where there are no more fish in the oceans, just jellyfish. The themes of Dahlstrom’s new exhibition, Legacy for the Ocean, are catastrophic but the paintings are glorious explosions of colour made three-dimensional with epoxy resin, sand and found materials. The images of the skeletal fish and the jellyfish came to him when he attended a talk at Kilcunda a couple of years ago and watched a science teacher use the litmus paper test to explain what happened to oceans when they absorbed too much carbon dioxide. Climate change was already at the forefront of his mind. He and his wife lost their Steels Creek house in the Black Saturday fires. On February 7, 2009, like many people, they stayed to defend their property. When their house became too hot inside, they went outside and watched it burn. They lost everything except the clothes they were wearing. 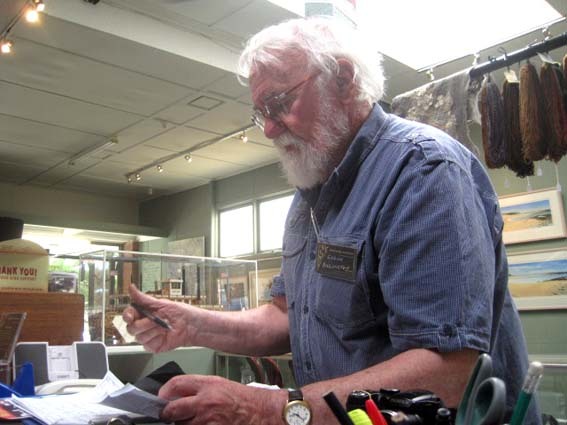 Dahlstrom lost more than 100 paintings – 25 years of work – along with his brushes, paints and canvases. When you commiserate, he points out that people lost their lives. He painted his first work six weeks later: a chimney in the bush. He called it simply #375, which was their address in Steels Creek. It was a farewell to the house, and a farewell to the bush he had loved and painted for so many years. And then it was time to move on. In 2010 he and his wife bought a 40-acre block near Inverloch where they agist horses. His studio is a converted shed, which he opens at weekends for visitors. He’s always painted what he sees around him so now he paints the sea – the surface of the sea and what’s below – but his concerns about climate change are never far away. 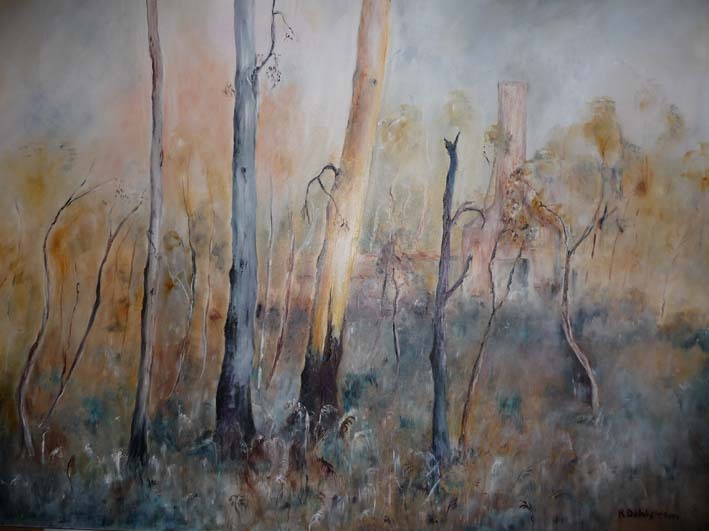 #375 by Ray Dahlstrom, painted six weeks after losing his house in the Black Saturday fires. “The creation of a ‘pretty picture’ has become secondary in importance to that of raising issues about the causes of change to our environment,” he states on his website. Were his paintings always political? But not all of them. Sometimes a painting is just a painting. 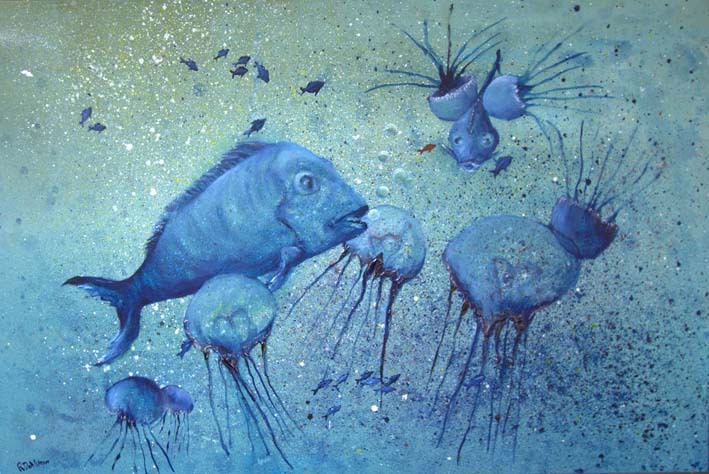 In the current exhibition, he has a couple of blue-on-blue paintings of fish and jellyfish that he painted because he wanted to use Prussian blue. 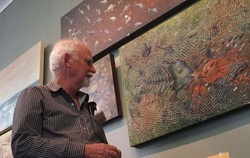 He’s painted the Phillip Island shearwaters – “that’s been my bread and butter; that’s been good” – and he did a series of four or five paintings called Bunurong Mistique. He smiles. “People buy them for their new houses. They bring along their tape measure and look for one that will match the décor.” He's a serious painter, but not a precious one. Ray Dahlstrom’s studio, at 40 Pearsalls Road, Inverloch, is open to visitors at weekends. 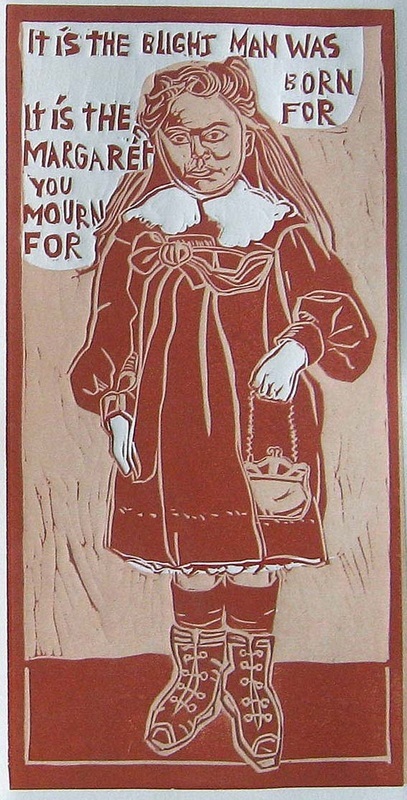 Far from mourning the passing of time, a new exhibition celebrates its ravages. Saraghi Art Space, rear of Cafe Lugano, 71 Thompson Avenue, Cowes. 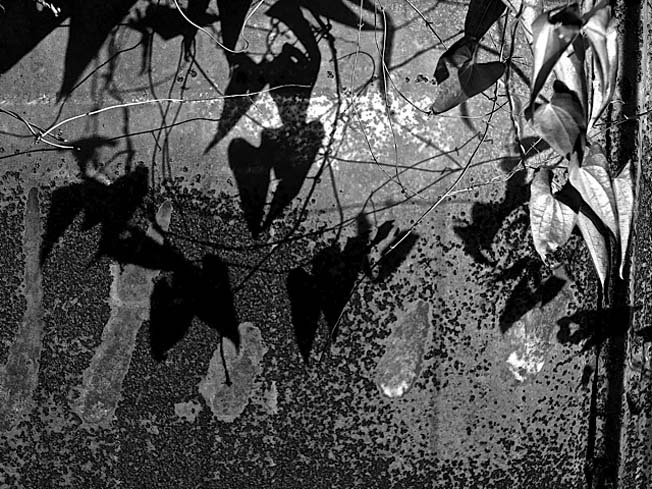 Natasha Williams, Catherine Robinson and Andrew McPherson use print making, photography and sculpture to encapsulate time, its transience and permanence, in a new exhibition at Saraghi Art Space in Cowes. Natasha Williams’ linocuts bring a sense of nostalgia – she portrays the hopes and yearnings of dreams, and perhaps thwarted destiny. Supported by snippets of poetry, the prints are of real people, Irish immigrants who settled in Gippsland, and are remembered here as they were in the 1900s. Catherine Robinson’s photos present time as a more physical thing that affects objects. It’s about place, surface and texture, the here and now, which inevitably changes. Andrew McPherson’s sculptures explore the beauty that comes about only through the passage of time. 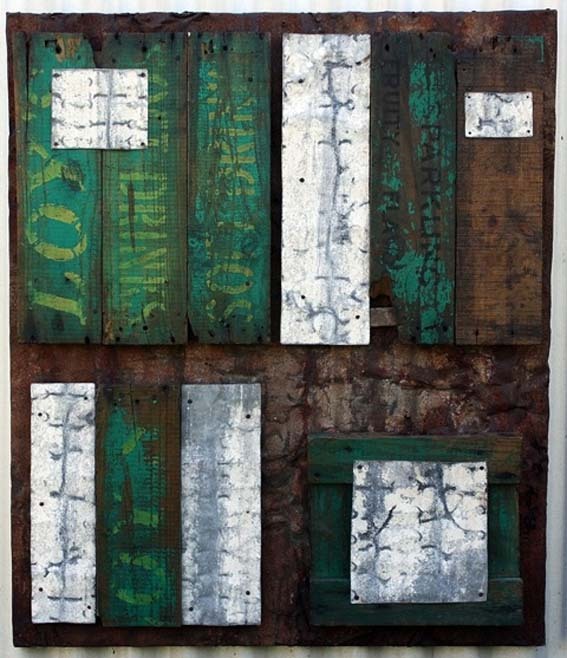 It depicts the imperfect, the cracked, the broken and rusted, returning to the earth from which they came. Time and the elements have done the work of breaking through the perfect surface to let us see what is behind. The damage lets us in. It is also partly the nostalgia we feel for things in the past when things were simpler and more accessible. Soft drink came in a wooden crate and washing machines had one cycle. Instead of fighting the effects of time, this is a celebration of what it can do. Time Captured opens at 2.30pm on Sunday, February 16, and runs until March 16. November 2, 2013 - Almost 20 years after it was formed, Phillip Island's largest community cultural organisation is still looking for a home, writes Marian Quigley. In her new collection Arrangements, recently retired art teacher Leanne Aitkin explodes the myth that we retire for a quiet life. The work expresses the joy and release many artists experience when they are freed from the constraints of the workplace and can begin to explore ideas that have been waiting expectantly in the wings. After 27 years of teaching art in Korumburra, Wonthaggi and Leongatha, Aitkin couldn’t wait to begin the reflective meditative process involved in developing her paintings. A significant degree of planning and refinement are in a delicate balance with spontaneity. Working without recognisable subjects or objects and without a deliberate narrative has enabled her to explore reflective spaces and create art that allows the viewer to enjoy the works in their own right. 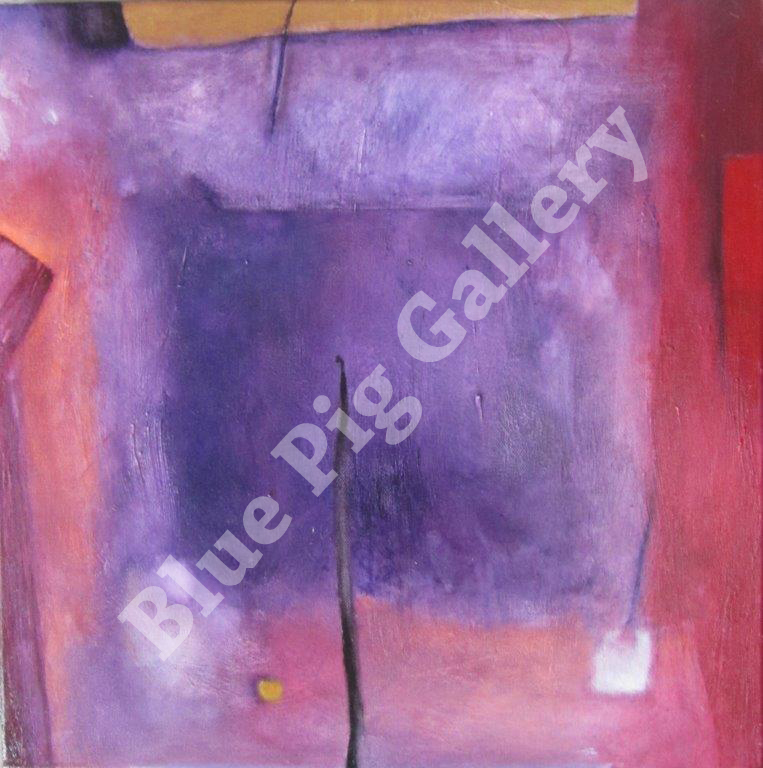 Quiet reflection on the sometimes luminous colours and juxtaposed shapes lets the audience enjoy the balanced and resolved abstract work that reesults. This exhibition asks of its audience an open mind willing to be led by the artist to a new experience in the visual world. A preparedness to engage with the work will reward the contemplative viewer. If this exhibition is the beginning of Leanne’s reactivation as an artist we are in for an exciting time ahead. Leanne Aitkin's new exhibition expresses the joy of being released from the daily grind. SOME people would call it beachcombing or paddling but Phil Henshall refers to it as his research. 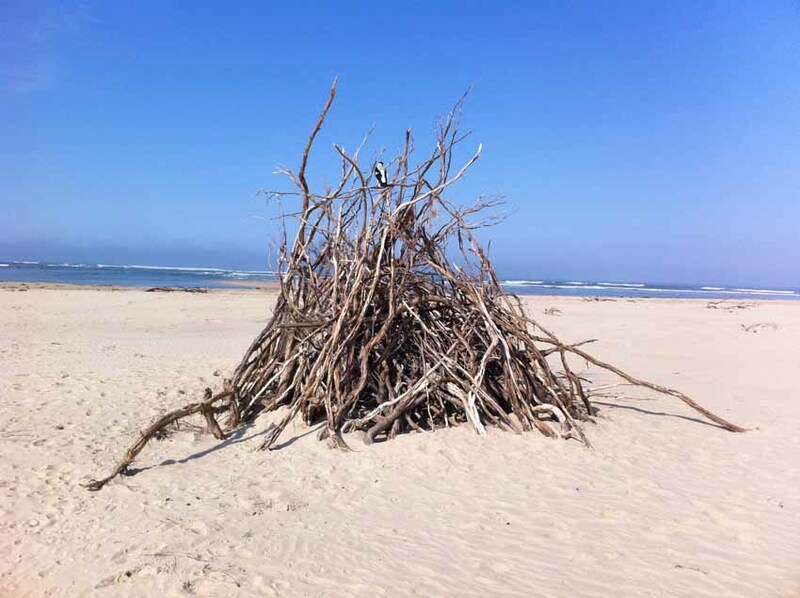 For the past year, the artist has been exploring Gippsland’s southern coastline between the Nobbies and the Prom, and all in the name of art. 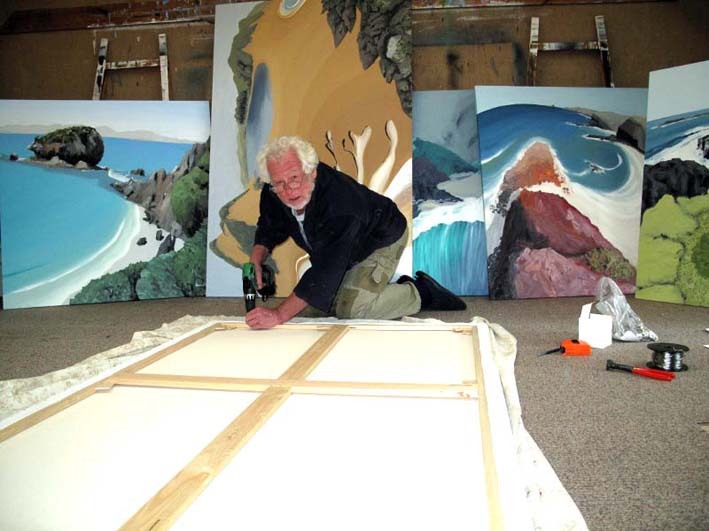 Based near Noojee, but with a holiday house at Kilcunda, he’s completed 10 big works for his exhibition, Coastal Aspective. For the new works, Henshall explored the variety of coastal geology from the red headland at Smiths Beach and the basalts of the Nobbies to the siltstone erosions of Shack Bay. He says his research gave him an excuse to play with waves at Cape Paterson and Waratah Bay and even tempted him to consider unblocking the sand-dammed mouth of the Powlett River. “Aspective” is his own word, which he has registered with IP Australia. 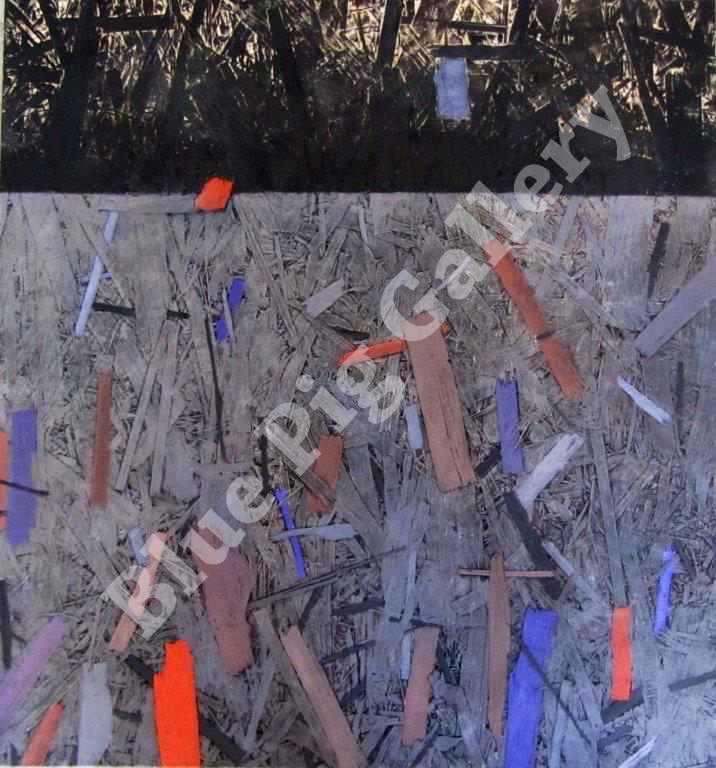 The title harks back to a five-piece work called Icy Creek Aspective that is now in the Baw Baw Council’s permanent collection. Phil Henshall prepares canvases for Coastal Aspective, at the Wonthaggi Artspace Gallery. He says aspectivism is an attempt to bridge the gap between three-dimensional reality and a momentary static two-dimensional depiction. THE reality rarely matches the dream but Wonthaggi’s Artspace Gallery appears to be an exception. When artists, volunteers and supporters gathered to celebrate the gallery’s first anniversary last Sunday, almost everyone agreed the gallery had succeeded beyond everyone’s expectations. 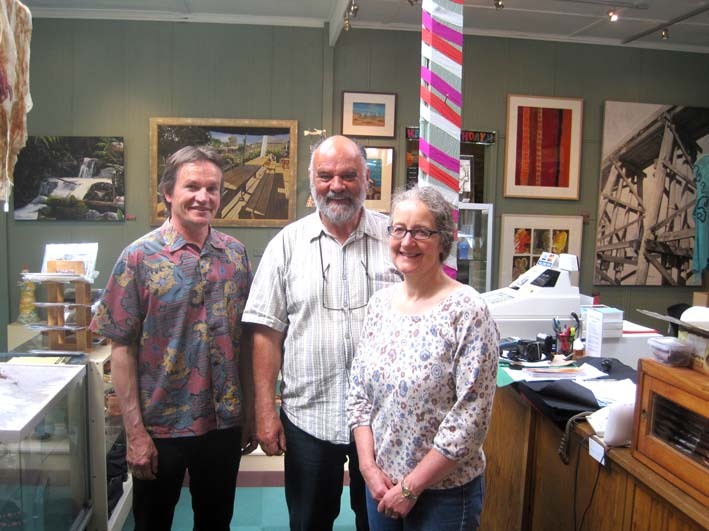 It started with an unexpected offer last year from Neil Rankine and Nola Maxfield, the owners of a McBride Avenue shop: would the Bass Coast Artists’ Society like to use the shop as a gallery? The society’s members jumped at the offer. The real attraction was the central location, Wonthaggi artist Dennis Leversha said on Sunday. “We’re extremely lucky to be here next to the park, the pub, the bookshop, the Goods Shed [home to the arts society] and the library. Following several working bees, backed up by business donations of glass cabinets, paint and a security system, the community-run gallery opened last October. Neil Rankine, Dennis Leversha and Nola Maxfield: the gallery has exceeded everyone’s expectations. Artspace chairman Colin Billington says the gallery is a lovely space to work in. Artspace Gallery is looking for more volunteers to go on a roster to man the gallery, perhaps once a month or even less. You don’t have to know about art and volunteers report it’s a very pleasant experience. Details: Colin Billington, 5674 2892 or hazecolin@bigpond.com. 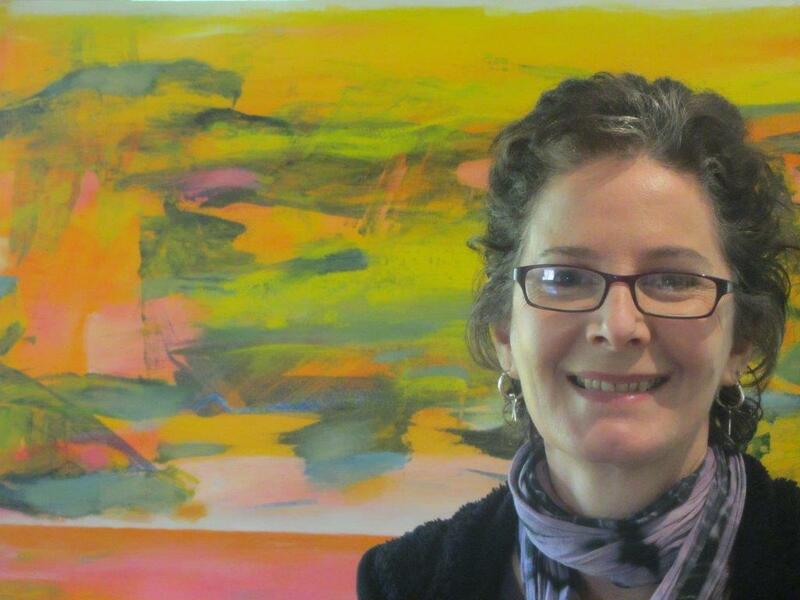 Leongatha artist Jennifer Chitty, a member of the Bass Coast Artists Society, said it was a great space. “Leongatha doesn’t have anything like this where people can just pop in and browse. Nola Maxfield said she and Neil were not artists but appreciated the arts. “One of the things people had been talking about was the need for a gallery somewhere central. When the shop became vacant, we thought it was something we could do. While I’m still working we can afford to make a contribution to the artistic community and town. Neil Rankine is a man of few words but he looked very happy. “It’s gone even better than I expected,” he said. 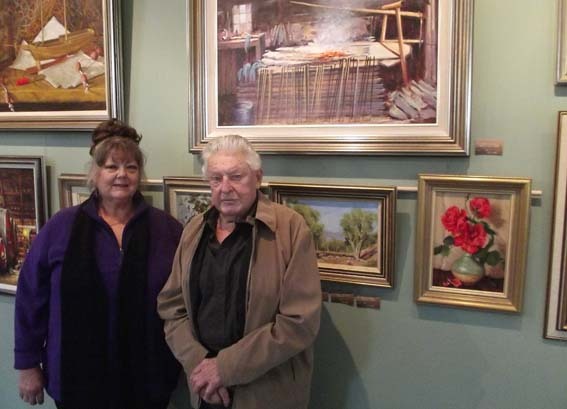 TWO of Bass Coast’s best known and most durable artists, wife and husband Judith Garde and Ramon Horsfield, will show recent works at a new exhibition in Wonthaggi’s community gallery. In A Passion for Painting, their first exhibition since they exhibited at Archies on the Creek in 2011, Garde’s detailed still lifes and Horsfield’s expansive landscapes complement each other. Garde said they were looking forward to presenting their work in the beautiful surroundings of the Artspace Gallery. Her interest in art came from a family tradition of creativeness and ingenuity. 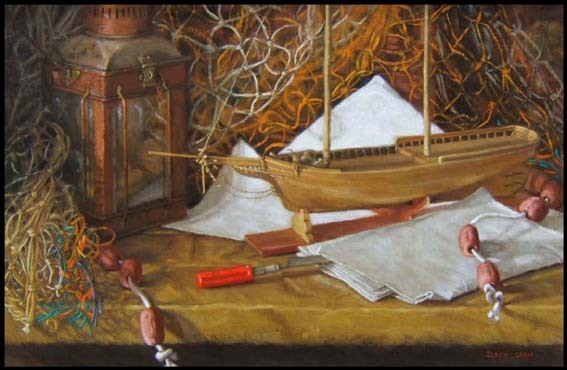 Visiting overseas galleries in the US and Europe gave her a passion for traditional art and in 1977, feeling a need to extend herself more in her work, she started studying oil painting at Deakin University under Colin Johnson. Later she studied at Syndal Technical School with Ramon Horsfield and it was he who encouraged her to take up painting as a full-time profession, although it wasn’t until 1991 that she was able to do so and become a member of the Victorian Artists Society. 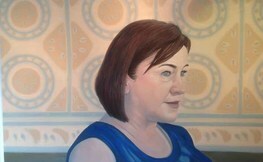 During the following years Judith continued to study and in 1993 she had a solo exhibition in the Cato Gallery. 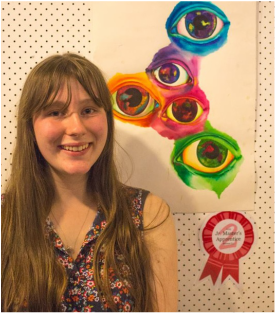 Throughout her career Garde has won many awards and commendations, including a highly commended from Sir William Dargie at the Camberwell Rotary Art Show. Her work is represented in private collections in Australia, New Zealand, Canada and England. Horsfield’s father was a commercial artist who encouraged him to pursue his natural interest in art. From 1945-47, he studied, first watercolour under Alexander Kerr, and then oils with H. Septimus Power. From 1947-1952 he was a member of the National Gallery Art School under Sir William Dargie, who influenced his feeling for landscape painting. In 1952 he held his first one-man exhibition at Kozminsky Gallery in Melbourne. In 1971 he was invited to become a member of the Twenty Melbourne Painters Society. 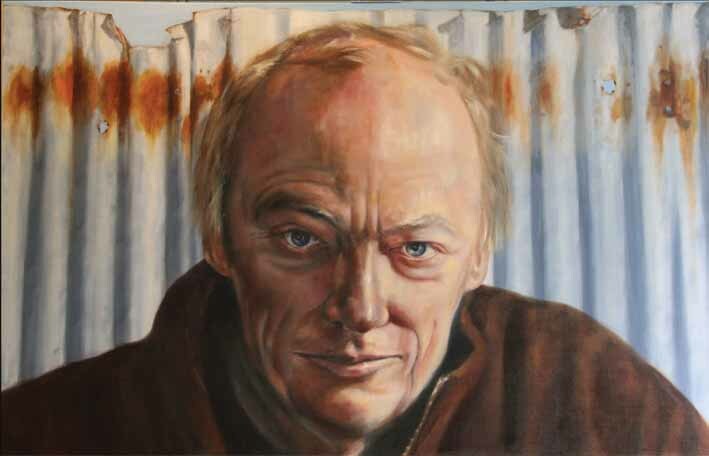 In 1976 he had two paintings purchased for the State College of Victoria collection and also won first prize for an oil painting at the Camberwell Rotary Art Show. 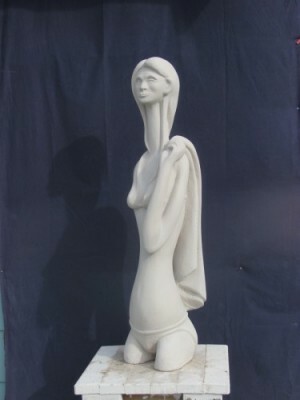 His works are represented in local and overseas corporate and private collections. 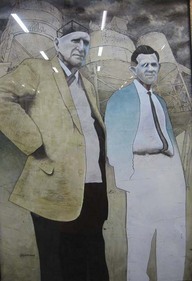 Horsfield and Garde were married in 1983 and began one of the most successful artistic partnerships in Australia. The artists will be at the gallery on the afternoons of September 5, 15 and 22 to conduct a walkthrough and talk about their work. From left, Happy Dogs by Ken Griffiths; Baxters Sunlight and Shadow by Adrian Johnson; and Matisse Cezanne Beckman by Peter Walker. JUDGES face the challenge of choosing a single painting from 14 works by three artists with very different styles to become part of the shire's art collection. 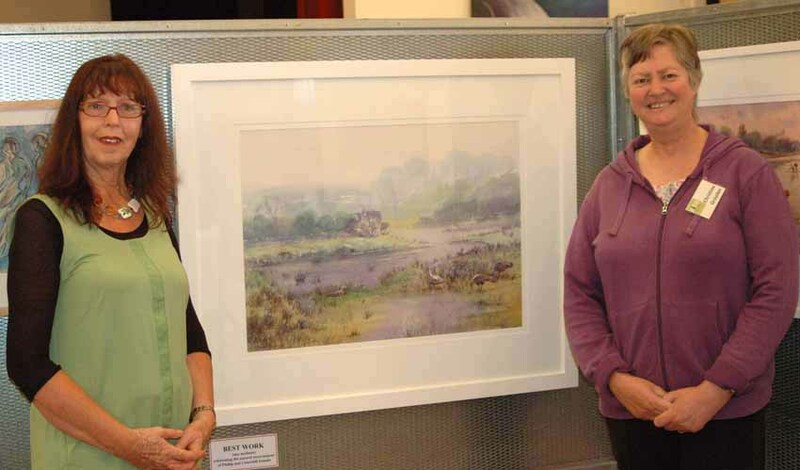 The award-winning artists’ works are on show in Cowes as part of the council’s Your Art Collection (YAC) Exhibition, hosted this year by the Artist’s Society of Phillip Island. The judges will choose from paintings by Ken Griffiths and Adrian Johnson, both from Wonthaggi, and Peter Walker from Cowes. Mr Griffiths studied fine arts and education in the 1980s and taught until 1994 before he resigned to paint full time. He uses skills and knowledge from the past to explore the possibilities of contemporary painting, making for an interesting and quirky style. Mr Johnson is a well-known landscape painter who already has five works in the council collection. 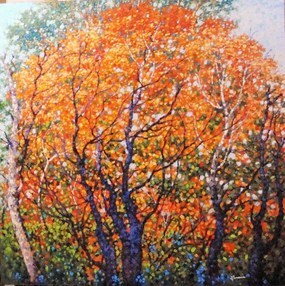 His style has a distinctive way of capturing the light of the local landscape. 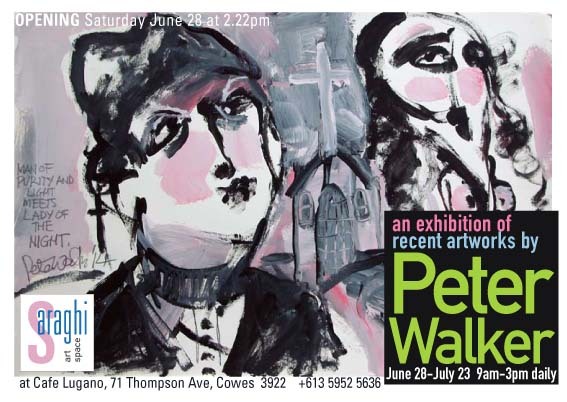 Mr Walker is a prolific artist who has exhibited in galleries in Melbourne, Canberra and New York. For this exhibition, he’ll be showing portraits of well-known people. “A characteristic of my work is a lyrical line and an emphasis on colour and the emotion it provokes,” he says. Five community shows were registered for the YAC Award this year. 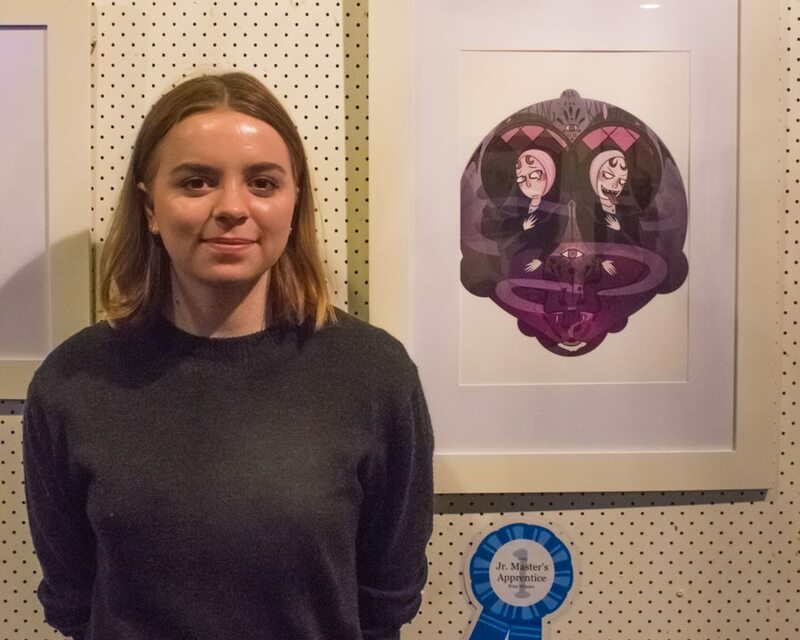 The council’s arts officer, Josephine Kent, said it was the first time in three years of the awards that two artists had won two awards each. This year’s panel of judges is Latrobe Regional Gallery director Julie Adams, well-known Venus Bay artist Colin Suggett, and Mornington Peninsula Regional Gallery curator Dr Wendy Garden. Each artist receives $1000 for each YAC award and the winning artist will receive another $5000. 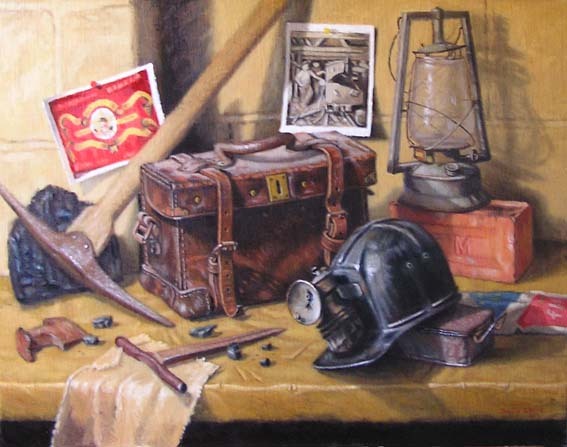 The Your Art Collection exhibition runs at the Cowes Culture Centre, Meeting Room 1, from August 31 to September 8. It will be open to the public from 10am-4pm every day except Monday and Tuesday. BASS Coast artists were at the forefront of the long community campaign against the desalination plant. Fittingly, several have returned for a new exhibition, Oceans, Whales & Other Sea Creatures, which opened in Wonthaggi's Artspace Community Gallery this week. The exhibition has been curated by Whalewatch, the group set up in 2010 in response to the claim by Peter Garrett, the then federal environmental minister, that Bass Coast was not an important area for migrating whales. 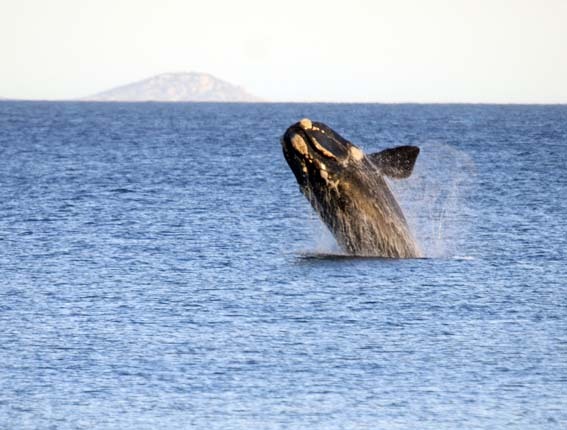 In that first year the group recorded 133 humpback whales, 18 southern right whales, a handful of killer whales, a great white shark and some 220 dolphins between Phillip Island and Wilsons Prom. 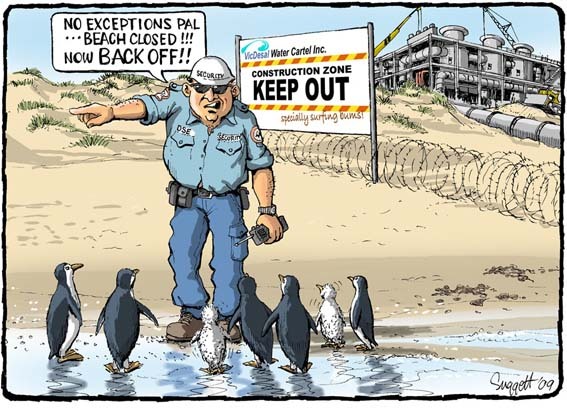 Mr Garrett’s troubled parliamentary career is almost over, the Wonthaggi desalination plant has been built and mothballed, along with most of Australia’s other desalination plants, and Whalewatch has gone from strength to strength. 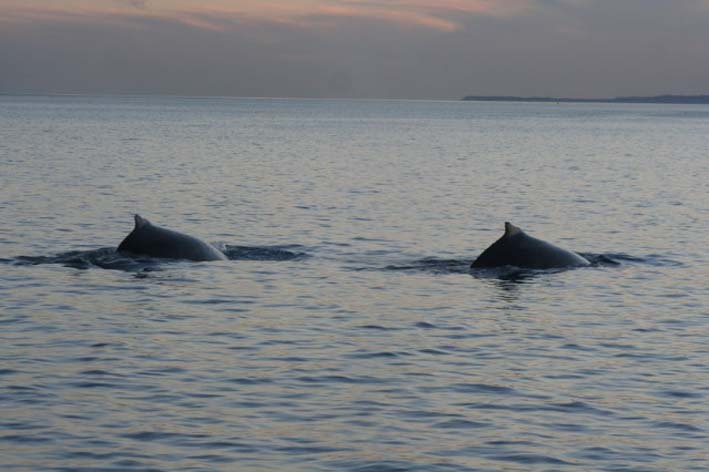 Now in its fourth season, it’s collated hundreds of sightings, which Whalewatch founder Mark Robertson says will provide valuable data for facing future threats to the coast, whether it be a gas plant, nuclear plant or expansion of the Port of Hastings. There are also plans for a Whalewatch Facebook site and a self-guided tour app of likely whale-watching spots for tourists. When the committee of the Wonthaggi Artspace Community Gallery invited Whalewatch to mount an exhibition, the group jumped at the opportunity. Robertson said there was a ready response from artists, with entries of ceramics, sculptures, photographs, cartoons and paintings celebrating our oceans and ocean life. Most of the artists had a connection with the long but ultimately unsuccessful campaign to stop a desalination plant being built next to the Bunurong Marine Park. Some of the anger and political comment remains. Ray Dahlstrom’s Acid Ocean (epoxy resin) is a comment on rising acidity levels in the ocean. Susan Hall’s Plastic on Plastic, made from discarded hay bale netting and pallet plastic, is a comment on human waste. One of Lisa Schoenberg’s photos depicts a seal enmeshed in plastic netting. 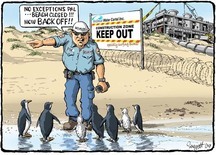 There are also four of Colin Suggett’s celebrated cartoons, which so cleverly punctured the government and industry rhetoric and misinformation surrounding the desal plant. Several works by Artspace’s regular artists, most notably Martin Keogh’s menacing Flake, have been co-opted for the exhibition. There’s also an international element with two photographs of environmental art installations from the organisers of a group campaigning against a desalination plant proposed for the mouth of the Hudson River in New York. The photos will be auctioned at Saturday’s opening of the exhibition with the proceeds to go back to the New York campaign. Official opening Saturday, August 3, 2pm. All works for sale. Email wonthaggiartspace@gmail.com. Mark Robertson with Martin Keogh’s Flake, a centrepiece of Oceans, Whales and Other Sea Creatures. ONE exhibit in Oceans, Whales & Other Sea Creatures has a very personal connection for Watershed Victoria president Mark Robertson. It’s a massive whale vertebra from the same whale whose jawbones are displayed outside Taberner’s Hotel, opposite the gallery. Measuring more than 22 metres, the dead whale washed up on Wreck Bay (now Harmers Haven) in 1923, attracting hundreds of sight-seers from Wonthaggi. One of them was Robertson’s step-grandfather, Tom Ridley, a blacksmith at the State Coal Mine. He and a group of mates chopped up the whale. The various bits were scattered around the town. Eventually his mother, Barbara, donated the specimen to the Wonthaggi Historical Society, which in turn lent it for the exhibition. Geoff Glare’s Southern right whale, Waratah Bay, 2010. VISITORS to Coronet Bay’s foreshore reserve will soon get a taste of local history and legends when they sit down for a picnic. Artist David Murphy will work with residents and others to gather local stories and render them into six bronze sculptures for a work labelled “Bronze Yarns”. Five will be made up of objects cast from life and composed to sit on picnic tables or benches, while still leaving room to sit and eat around. The base plates will incorporate snippets of text evoking deeper layers of the stories. The sixth work will be a collection of small, bronze sculptures created by local children around stories about Coronet Bay, arranged on granite stones at the north end of the reserve. Murphy says visitors will be able to experience a poetic sense of place, its history and insights into the stories of the local community and the local community itself. A graduate of the Victorian College of the Arts, David has done over 14 public art pieces and now specialises in large-scale public works of art with a number of permanent sculptures around Melbourne. He won the commission from Bass Coast Council after impressing the public arts consultative committee. The council has been working with the Coronet Bay community since November 2012 to agree on sites, concepts and themes. The works are expected to be finished by November. Bronze Yarns will be the second major public art project in Bass Coast, following the installation of harmony bells and sculptured seats at the Cowes Town Square. Coronet Bay residents wanting to share their stories for a sculpture can contact David Murphy at dub@netspace.net.au, 0409 148 569, or 15 Lakes Drive, Newport, 3015. WATERSHED Victoria has been invited by the Wonthaggi Artspace Gallery to put on an exhibition during August on the theme of whales, oceans and ocean life. This is timely since we are again in whale watching season. The group is inviting expressions of interest from anyone who would like to exhibit at this show so they can decide whether they would have enough entries to make a viable exhibition. If you would like to take part, contact Aileen Vening, veninga@dcsi.net.au, or Mark Robertson, 0408 528 864. Bass Valley Primary School’s Creative Spaces was judged the best school entry in the inaugural the Great Gippsland Gatescape competition. 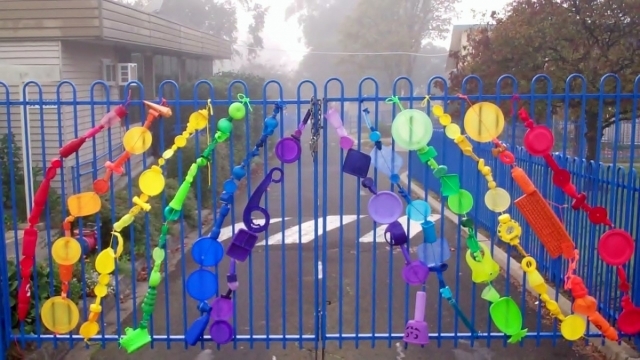 BASS Valley Primary School pupils made a memorable entrance into the Great Gippsland Gatescape competition with their colourful entry, Creating Space, winning the prize for best school gate. Pupils from grade 2 to 6 worked on the multi-faceted piece for two weeks. 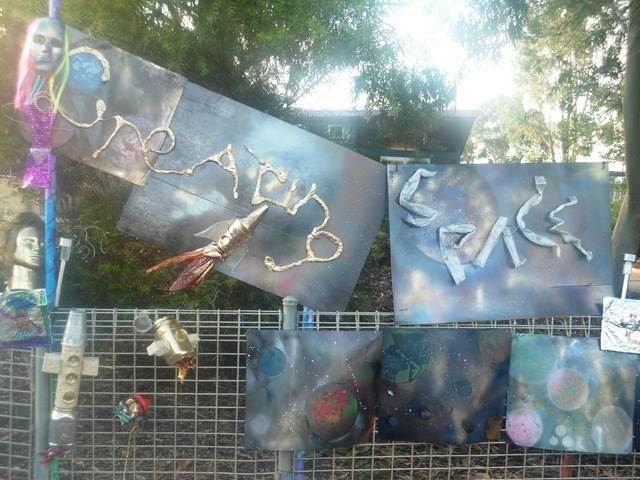 While the grade 2s created colourful and original aliens on foil, grades 3/4s made 3D models of space junk, aliens and satellites, and the grade 5/6s learned to spray paint space scenes, create glass mosaic tiles and design and create face masks with a solar system theme. Another local, the Goat Island Farm and Gallery in Wonthaggi, won the prize for the best farm gate with their cow-festooned entry Emohruo. Goat Island Farm and Gallery’s Emohruo. Pupils of Latrobe Special Developmental School won the People’s Choice Award with Recycled Rainbow, made from discarded plastic items. 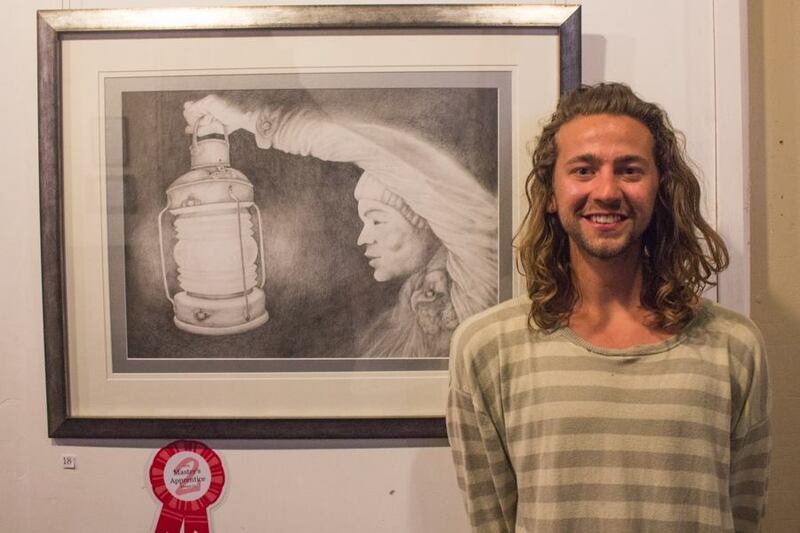 With 72 entries, the inaugural gatescape competition was a highlight of the month-long Gippsland Arts Festival, which included exhibitions, markets, workshops, performances, food and many community gatherings. Creative Gippsland chairwoman Amanda Owen said the competition inspired some “colourful, thoughtful, amusing, whimsical and frankly wild gates”. “They were fabulous – simply because they have been made by people for the fun of creating something unique, and being a part of something really different that resonates with the community. See all the Great Gippsland Gatescape winners. 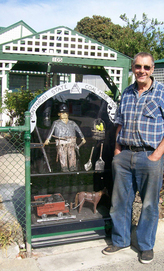 BILL Dean’s childhood memories of his coal miner uncles inspired his entry for the Great Gippsland Gatescape competition. Born in Wonthaggi, Bill left as a child but returned with his wife Margaret 27 years ago. He took inspiration from memories of his uncles who worked in the mines, one for 18 years, for his entry in the competition, the feature event for this year’s Creative Gippsland Arts Festival. He made good use of recycled materials to recreate the history of the State Coal Mine from 1909 to 1968 on his garden gate in Broome Crescent. When a neighbour came to have a look, he was so impressed he went back home and scrounged through his shed, bringing over many bits and pieces, including an original pick he had from his mining days. Bill created the figures from scratch, the miner from aluminium, and a hand-carved wooden pit pony pulling a cart of coal. The bird in a cage actually sings and there is also a miniature version of the old miners’ lamp. It took about three weeks from start to finish. Bill says there were lots of cuts and bruises and gate was truly made with blood, sweat and tears! His gate is among many entries on the Creative Gippsland website. 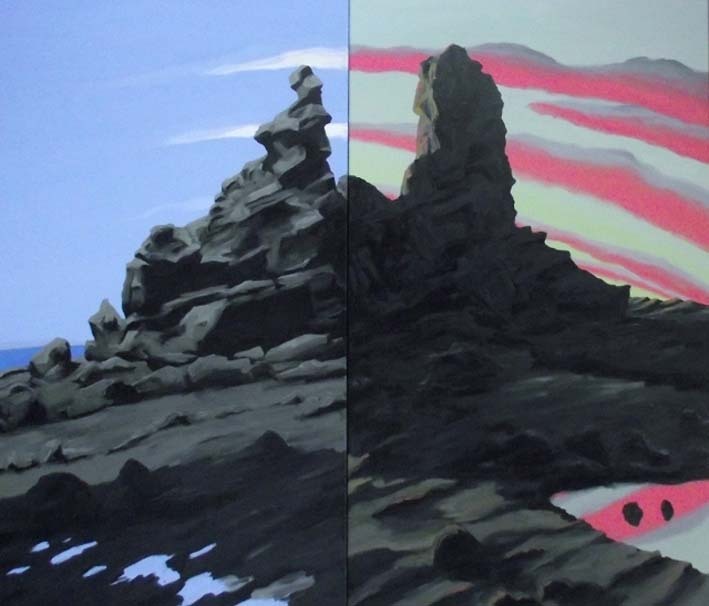 You can see other Gatescape entries at creativegippsland.com.au, plus cast your vote. The deadline for entries to the competition has been extended to the end of May. Inquiries: Janice Orchard, Ph 0419 301 363, or Josephine Kent, 1300 226 278. Gateways grand and otherwise could be in the running for a $500 prize in Great Gippsland Gatescape, the feature event for this year’s Gippsland Arts Festival. Gatescape aims to bring together artists, families, youths, community groups, farmers, townspeople, nurseries and creative people to collaborate on gate art. If you haven’t got a gateway of your own, you might want to take up Wonthaggi nursery owner Joe Licciardi’s offer. He’s got three large gates ripe for decorating at his From the Ground Up cafe and nursery. Call into the café and talk to him if you’d like to make his gates stand out. Make it stand out from the crowd with your creative ideas and ingenuity. You don’t need to be a professional artist to enter, just to have a flair for decorating. Individuals and groups can decorate a gate, whether it’s a house gate, farm gate, school gate or business gate. When you’re finished, upload a photo of your finished gate to Creative Gippsland. Visitors to the site then vote on your photo and prizes are awarded in various categories. First prize is $500, with $200 for the other categories. Details: Creative Gippsland 2013, or call project co-ordinator Janice Orchard on 0419 301 363 or arts officer Josephine Kent on 1300 226 278. 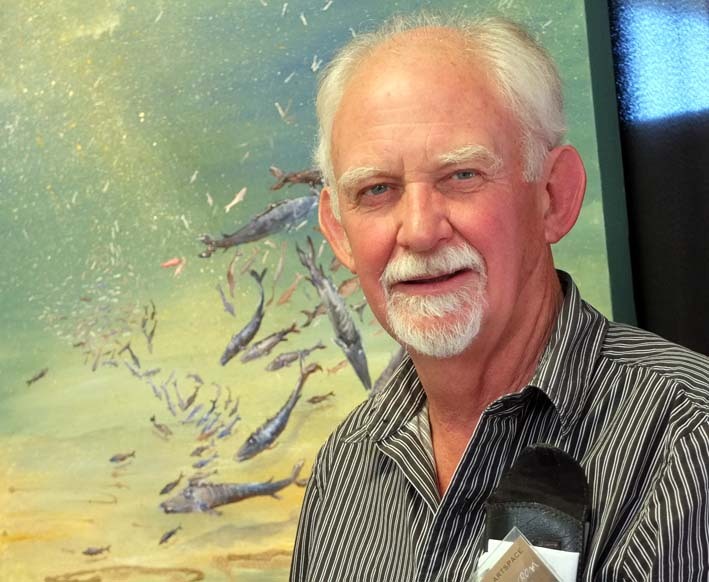 WONTHAGGI artist Ken Griffiths added another major prize to his fast-growing collection when he took out the prize for the best body of work at the Bass Coast Artists’ Society’s Easter exhibition. 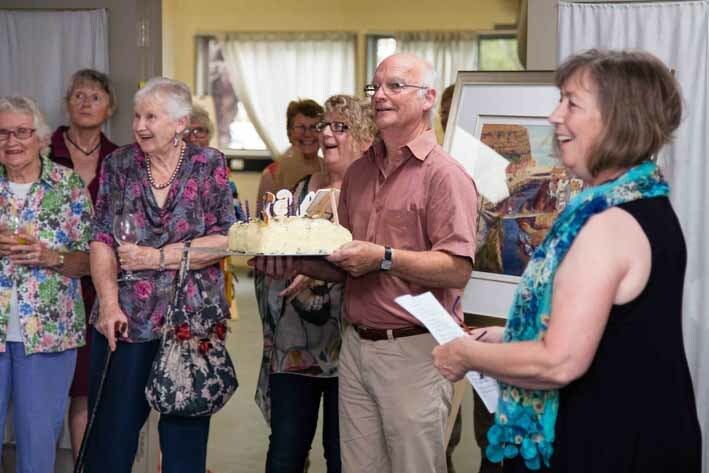 Griffiths’ work Birthday Party also won $1000 and an invitation to take part in this year’s Bass Coast Acquisitive Art Award, for which the winner will receive $5000. The show, at the old Goods Shed in Murray Street, Wonthaggi, is open from 10am-5pm on Saturday-Monday and 10am-2pm on Tuesday. All works are for sale. Whatever was happening, it was beautifully done and won Cowes artist Susan Brereton the Figure It Now award in the Artists’ Society of Phillip Island’s Easter exhibition. 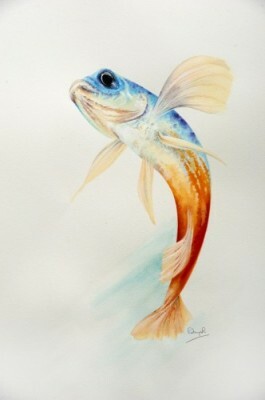 Brereton has been drawing for many years but has only taken up painting in the past few years. She’s been tutored by John Adams, one of Bass Coast’s pre-eminent painters, and has come along in leaps and bounds. 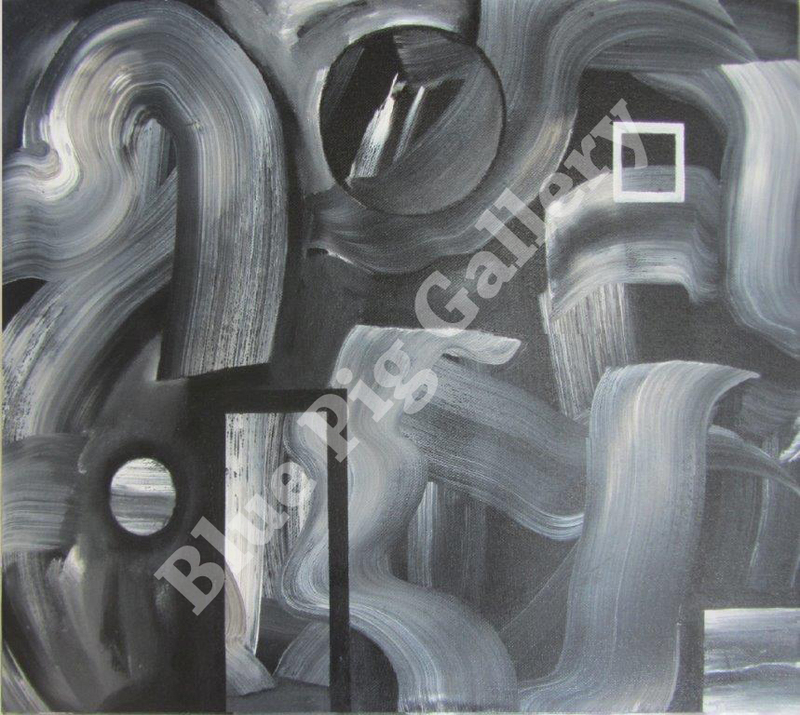 She says she’s always been frightened of colours and she’s stuck to black and white for this work. This was also the first time she had used liquid graphite. 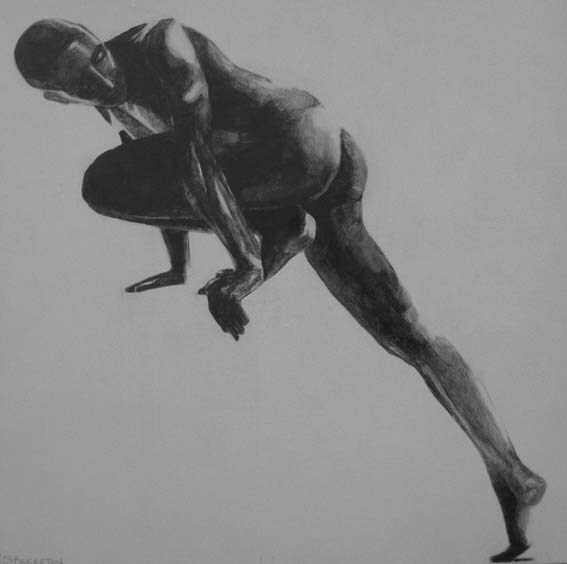 The athletic, graceful figure bears a strong resemblance to Olympic champion Usain Bolt but in fact Brereton says it was based on a life drawing she did in the 1980s. Apart from the people’s choice award, this year’s show is the first fully judged Easter exhibition, with Penny Teale, senior curator at the McClelland Sculpture Park and Gallery, making the judgements for prizes worth a record $2100 this year. "Stepping Up" by Susan Brereton, winner of the Figure It Now award. In addition to awards for best photograph, best 2D, best 3D and best textile art, there were two new awards donated by the Phillip Island historical and conservation societies. Cowes artist Gay Mosby, whose ceramic work Erosion (2) won first prize for a work celebrating the natural environment of Phillip and Churchill islands, snapped up Brereton’s winning painting. “I thought this was a nice way to spend the prize money,” she said.Mosby says having her work selected by a professional judge was an enormous boost to her confidence. 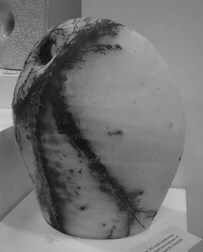 Sian Adnam won first prize in the 3D section for her craggy black fired pot. Lisa Schonberg won the historical photograph prize with a haunting image of Warley Hospital, which closed in 2008. Heather Fahnle was runner-up in the Figure It Now award with her work Rosie and Norma Stack-Robinson won the award for best textile work. There was also an associated short story competition with prizes totalling $500. First prize went to Barbara Orlowska-Westwood for Bach’s Siciliana, second to Josephine Allen for Crouching Man, third to Ann Fogarty for The Waistcoat. Heather Tobias’s Riding the Met was highly commended. The Bass Coast Post will run the winning short stories over the next few weeks. 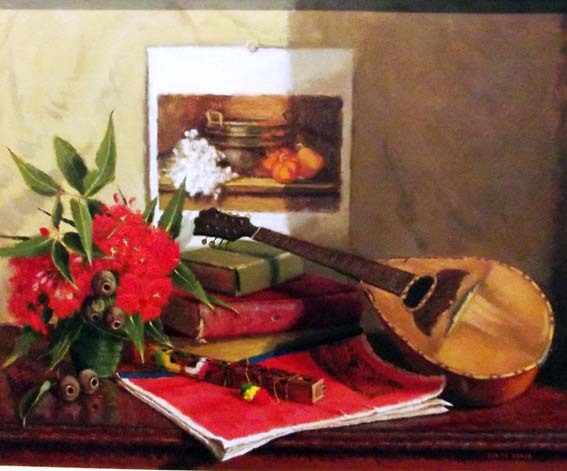 The Artists’ Society of Phillip Island’s Easter exhibition is on at the Cultural Centre, Thompson Road, Cowes, from 10am-5pm Friday- Sunday and 10am-2pm on Monday. Get your thinking cap on. 10am-5pm on Friday, March 29, to Sunday, March 31, 10am-2pm on Monday, April 1. 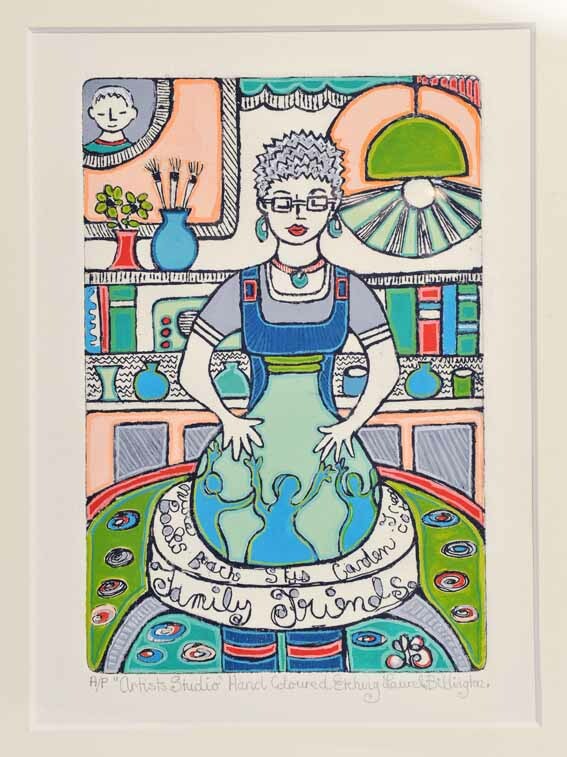 IT’S all about humans – in image and word – in this year’s Easter exhibition and sale of the Artists’ Society of Phillip Island. The society’s Figure IT Now visual arts and writing awards are worth $500 each for the best representation of the human figure (art) or human being (short stories). This year, the writing award will be divided into first, second and third prizes. The society, which includes the Ibis Writers, Phillip Island Camera Club and Textile Arts Group, is offering prizes totalling $2100 for this year’s exhibition, thanks to the generosity of sponsors. 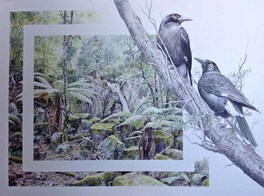 In addition to the regular sections of best photograph, best 2D, best 3D and best textile art, the Phillip Island historical and conservation societies have donated two new prizes for best photograph of a pre-1970 building or structure on Phillip Island and best art work in any medium celebrating the natural environment of Phillip or Churchill islands. For the first time, it will be a fully judged show, apart from the overall people’s choice award. The visual arts judge is Penny Teale, senior curator of the McClelland Sculpture Park and Gallery and the writing judge is Catherine Watson, editor of the Bass Coast Post. Entrants must be financial members of the society. Annual membership is $25 for adults and $6 for those under 18 and includes entry into the Melbourne Cup Weekend exhibition. Entries in the Easter exhibition cost $5. For membership and entry forms, contact aspitreasurer@aanet.com.au or 0418 549 236. May 19, 2013 - Anna Kentwell’s seaweed dress encrusted with pearls nestled in flowers of coral was a labour of love and imagination. BOB MIDDLETON saw our coast with fresh eyes after visiting Vision Splendid: Landscapes of Phillip Island and Western Port. The exhibition finishes tomorrow. IN mid-December, the Bass Coast Post previewed an exclusive Mornington Peninsula Regional Gallery (MPRG) exhibition, Vision Splendid: Landscapes of Phillip Island and Western Port. So the three of us belatedly heed the advice to visit and travel down to see for ourselves what the praise is all about. We have planned this for some time but are cutting it a touch fine. The exhibition comes to an end this Sunday, February 17. I enter the gallery armed with pen but have forgotten notepad so approach the front desk for paper. There should be a story here. Local identity Laurel Robinson answers my call for help. Laurel is the secretary of Friends of MPRG, the volunteer group that helps staff the gallery and raise funds. She politely informs me that ballpoint pens are considered implements of accidental destruction in galleries and, kindly overlooking my ignorance, provides me with not only paper but a gallery-friendly pencil. She also supplies me with snippets of information, telling me with some pride that the gallery is renowned for its specialist collection of works on paper. As I turn I notice on the wall of the foyer a series of watercolours. Ah, so the landscapes of our Bass Coast start right here. But I am wrong. On closer inspection I see I am viewing the works of Robert Wade, 15 watercolours of Pulpit Rock, Cape Schanck, donated by the artist to the gallery. But I forgive my error. This rugged rock looks like a full sister to the shapes of our own wind-sculptured coastline. Wade's work ranges from 1983 to 2007. The artist’s viewing point does not shift greatly so there is a sameness and yet a strong distinction between each. 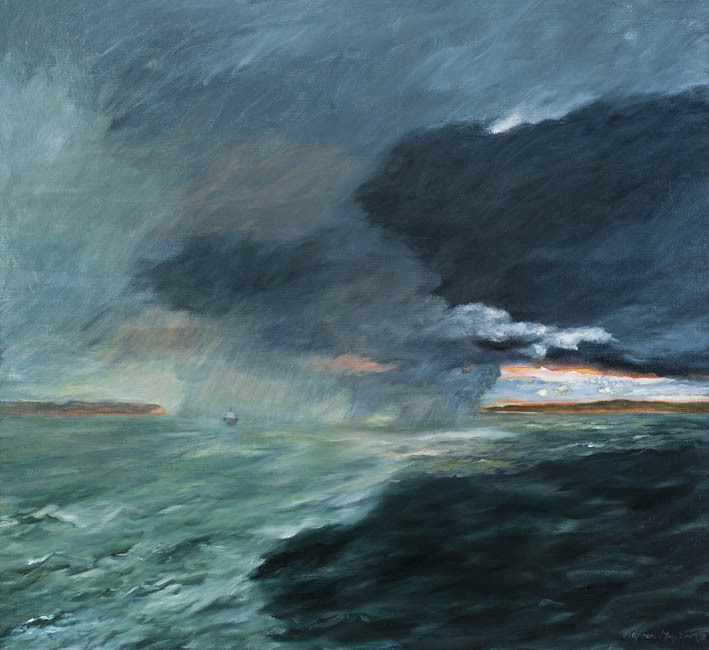 As the notes with the paintings tell us, Wade has captured the many moods through the changing atmospheric conditions that have produced varying colours and shades. Only the rock remains static. As one viewer remarks, a single painting is a thing of pleasure but grouped together the series has a powerful presence. Pamela directs me to a large painting produced in 1907 by John Ford Paterson that has special meaning for her. It is Kilcunda showing its rugged coast and treacherous ocean that she remembers so well from her childhood. It is titled (Cliffs at Kilcunda). The use of brackets is significant. 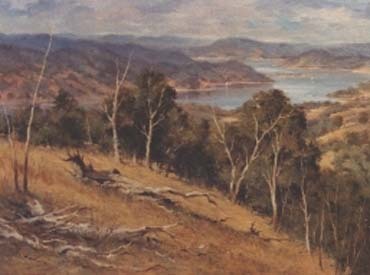 The painting was known for many years simply as Sorrento until given back its true identity by recent research, aided by members of the Phillip Island Historical Society. 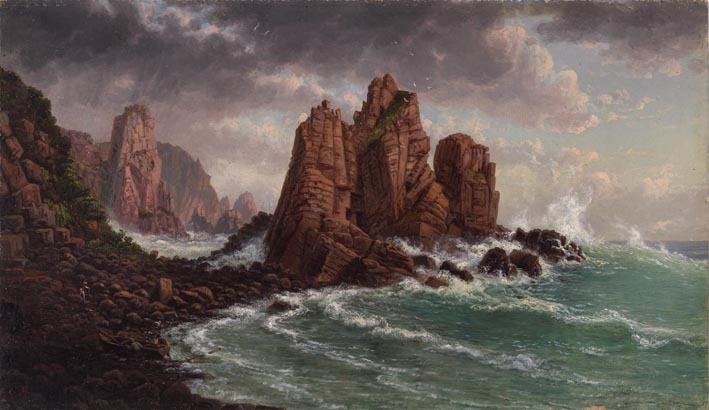 I am brought back to the beginning of the exhibition by my knowledgeable guide where I am left alone in mental solitude, bracing myself against the forces of Eugene von Guerard's View of the granite rocks at Cape Woolamai, c.1872. 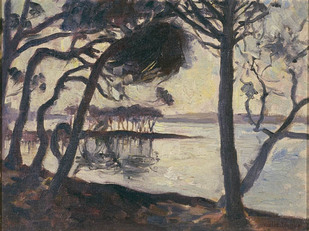 This painting is a smaller version of a now lost painting von Guerard exhibited at the Victorian Academy of Arts, Melbourne, and subsequently in the Victorian section at the Vienna Universal Exhibition. It is magnificent in its violence. Could I live with it in peace? I think not. The greats of the Australian art world follow. Arthur Stretton, Tom Roberts, Walter Withers, all attracted to the area to stretch their talents beyond the all-too-familiar images of Melbourne and Port Phillip. There is moving art by Jessie Traill and Violet Teague of scenes on Phillip Island that magically capture the sense and feel of light and shade. They worked together from as early as 1910, later collaborating to making altar pieces and church panels. The profiles and informative notes accompanying the works add greatly to my insight and overall pleasure of the exhibition. But the comments by Stephen May under his work Western Port Reflections summed up my own feelings best. “My work is emotive (but) not sentimental. The clouds, the shadows and the lurking menace of Western Port are my muse." Two hours passed absorbingly by until lunch beckoned. I am not a gallery person as such but I am so glad I went and so sorry some of you will have missed it. The Archibald Prize 2013 will be exclusively shown in Victoria at the Mornington Peninsula Regional Gallery from June 8-July 7, a logistical challenge for gallery curator Rodney James and staff, requiring additional car parking, marquees and toilet facilities to cope with the anticipated interest. I'll be among the crowd. I’ve been bitten by the bug.